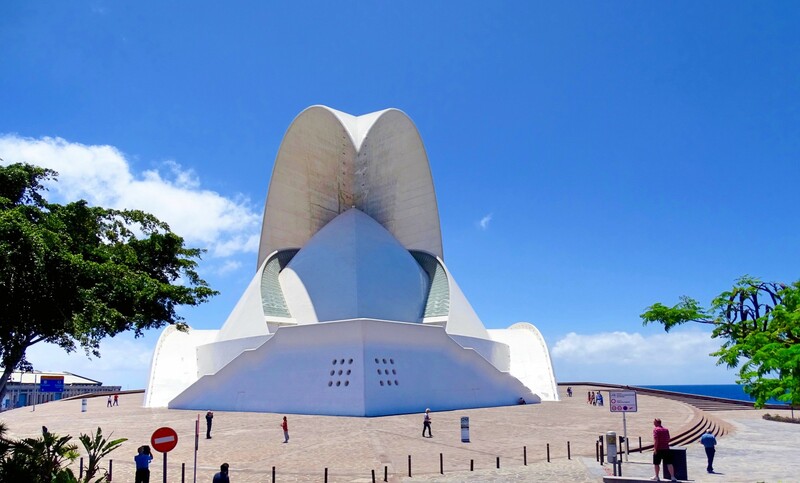 This is a guest post about Tenerife by Kim. 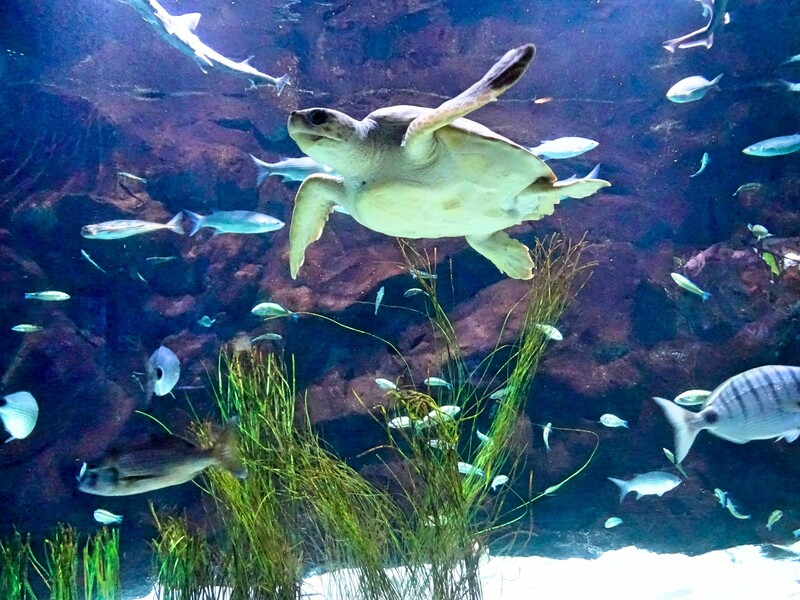 She is travelling with her husband and two kids – enjoy! 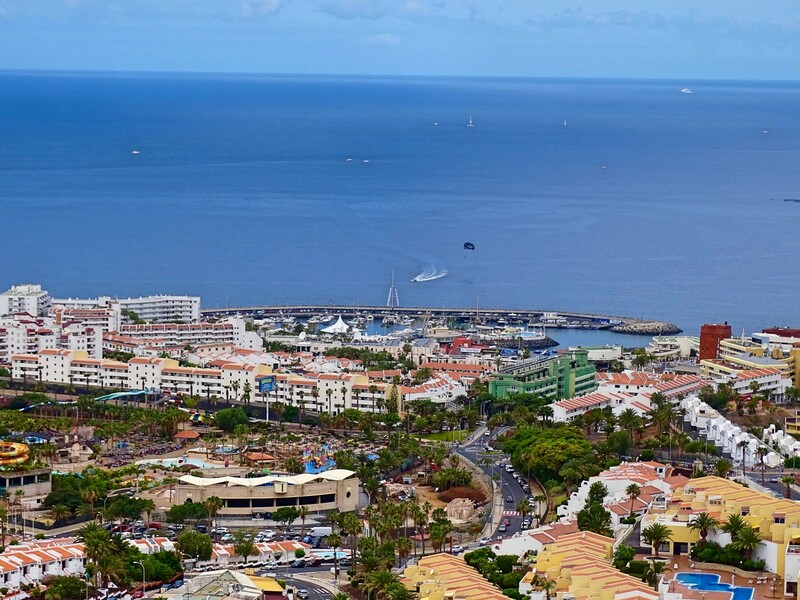 Ready to start exploring Tenerife. We first enjoy a great breakfast from our hotels large breakfast selection, there is a short wait for fresh pancakes, omelets and fried eggs, but it’s definitely worth it! 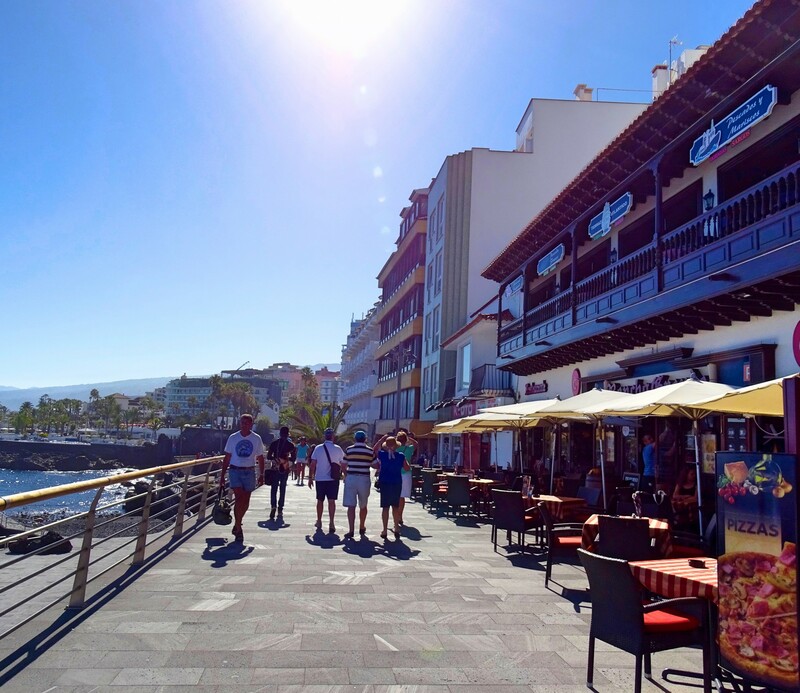 Today we take it “easy” exploring Puerto De La Cruz, where we are staying. 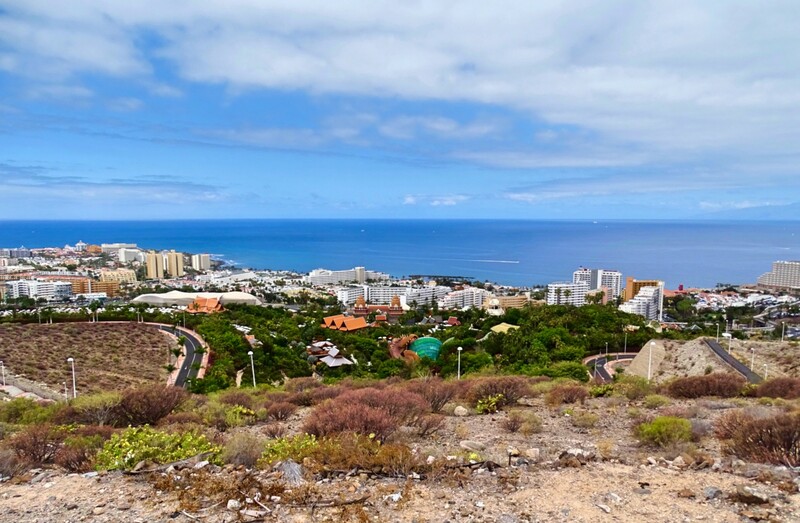 We find ample free parking at Futuro Park Maritimo, just off Paseo de Luis Lavaggi, which is easily found driving down toward the beach following signs to Playa Jardin. There is an unofficial car guard there, but we know them from my home land of S.A, so simply do as the locals and tip him 50c. 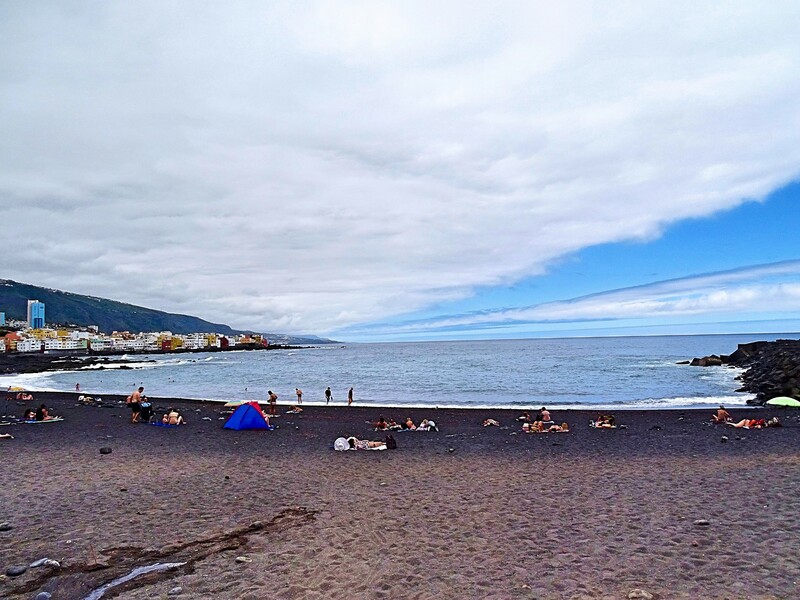 The car park is perfectly located, from here you can walk left, to the beach and a variety of café’s, which serve local specialties. 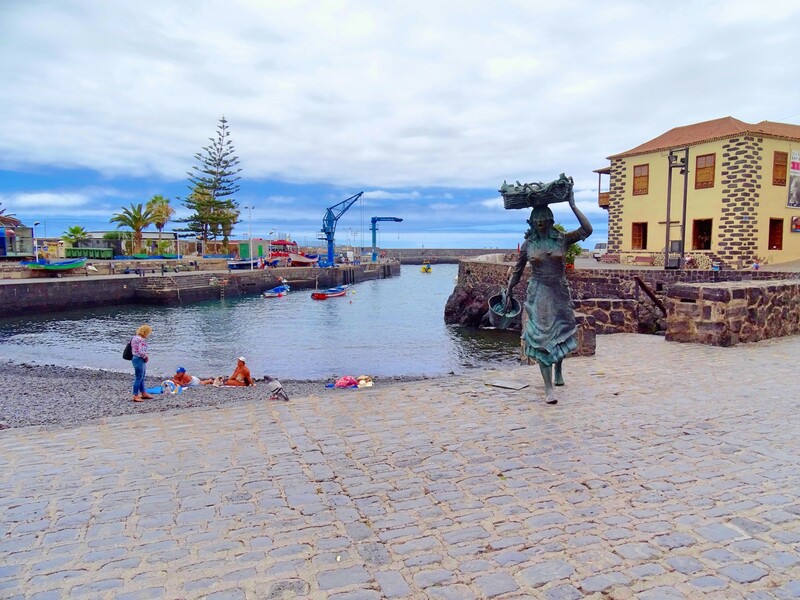 We however, first go right, which takes us to Puerto de la Cruz harbor, originally developed for the export of sugar and wine. 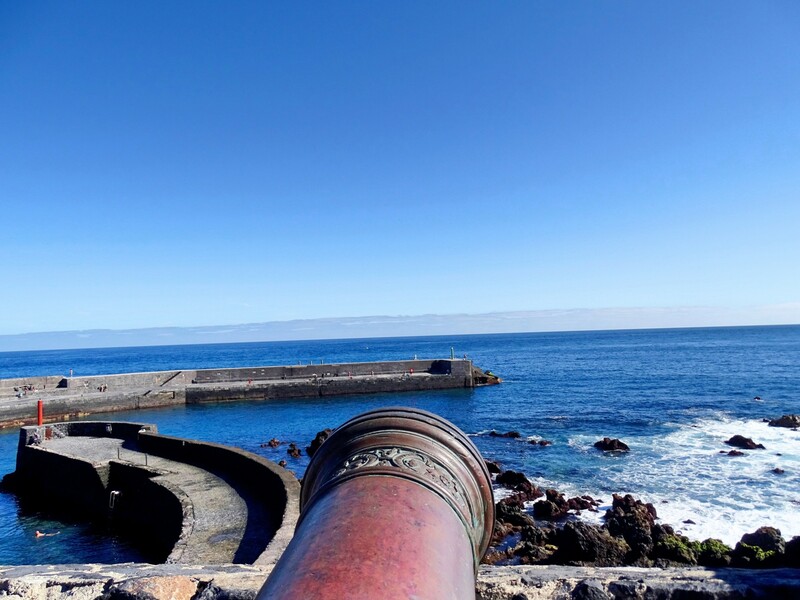 Along the port the kids can safely run ahead and have fun checking out the canons on the lookout points, while we admire the great view. 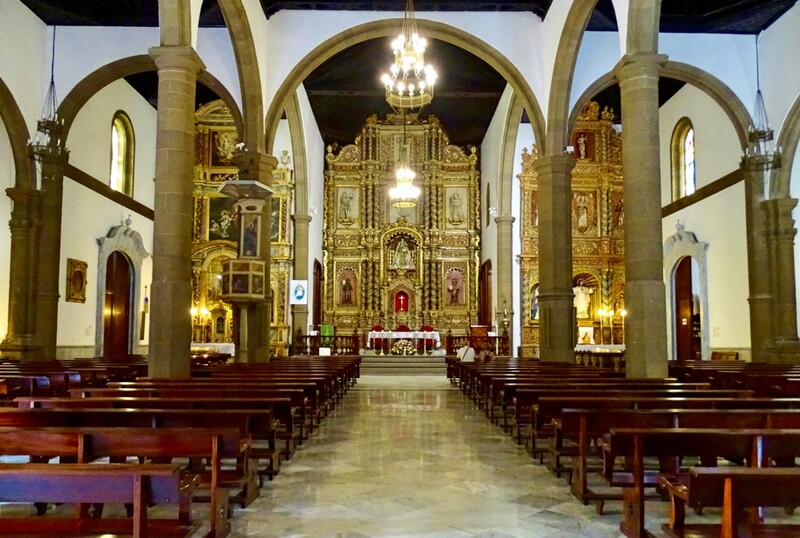 We head more into town, passing by Plaza de la Inglesia where we take a look at the beautiful Church Iglesia de Nuestra Senora de la Pena Francia, (Church of Our Lady of the Rock of France) built in the 17th century. 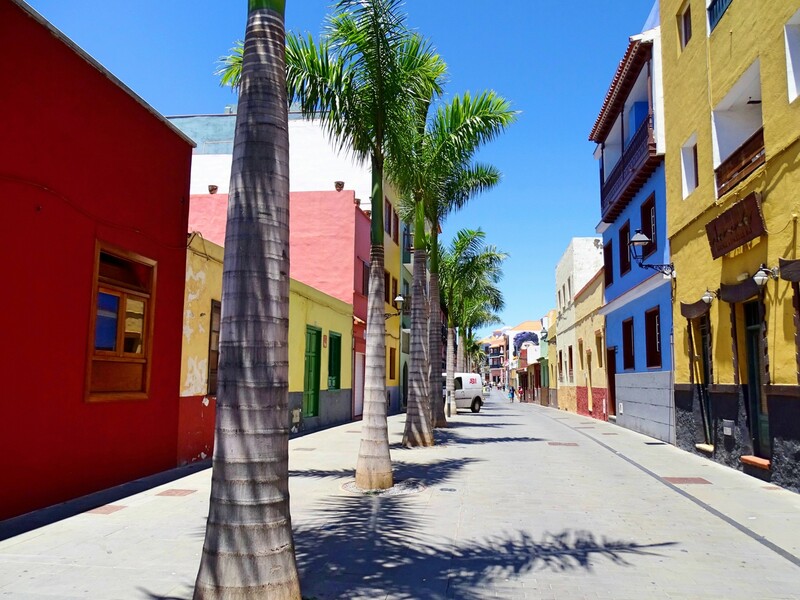 We let our kids lead the way through the towns small alleys, take another break to enjoy some tapas, and then continue through town, admiring the colorful local residential homes and head back toward the car park. Along the way we also find a playground where the kids play for a bit. 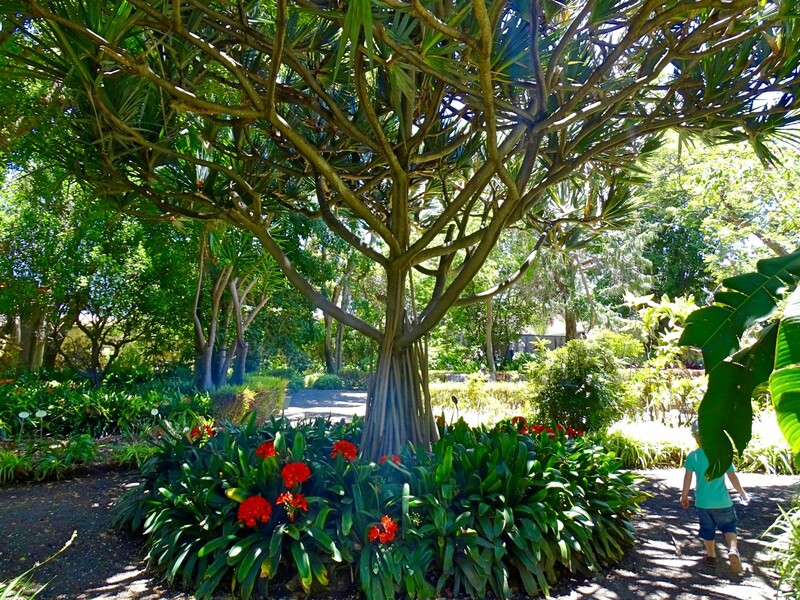 It has turned into a cloudless 29-degree day with not even a tiny breeze so we decide to head to the inviting shade of the plants at the Botanical Gardens, Jardin Botánico. Entry costs 3.50 Euro per person, kids are free. 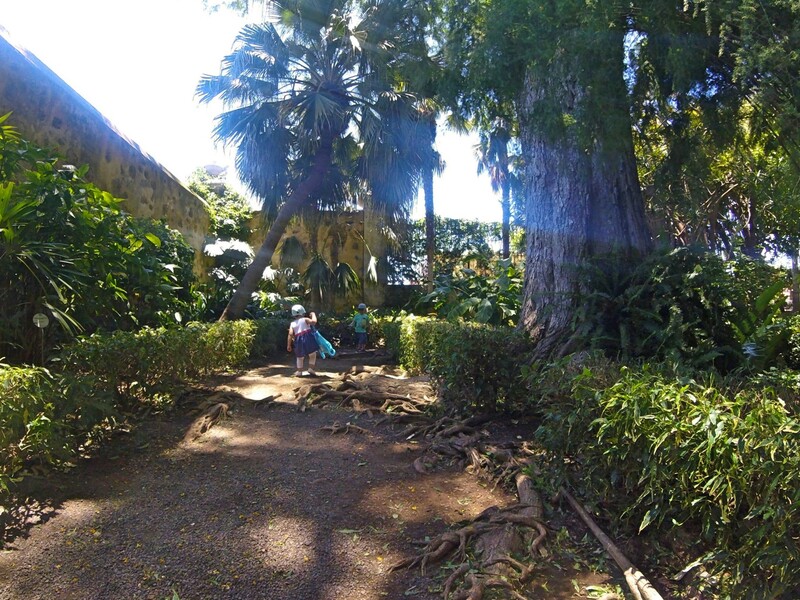 The kids enjoy running up and down the shaded paths, jumping over the roots growing across them. 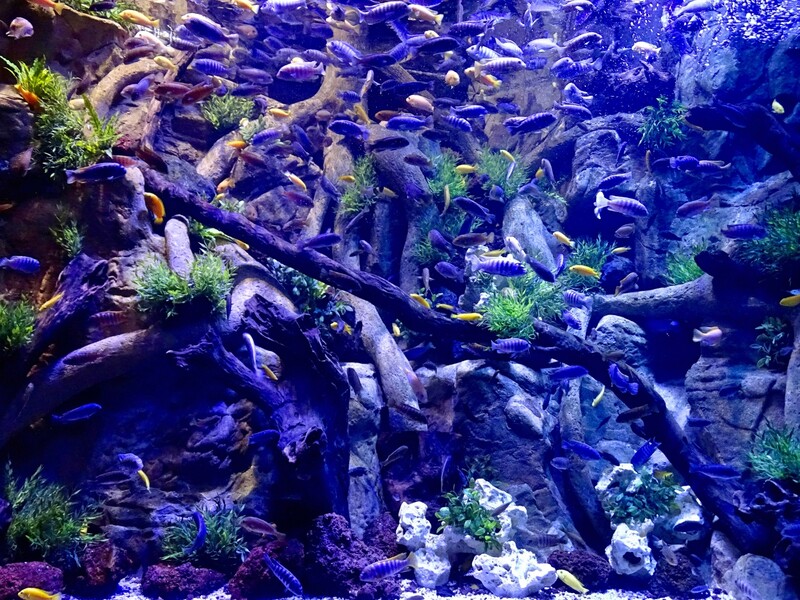 For us, the variety of plants and relaxed atmosphere is wonderful. 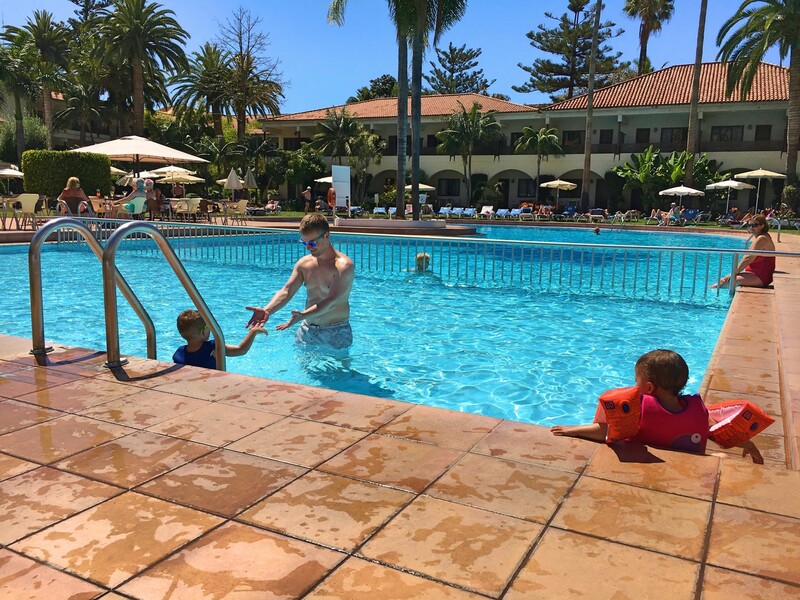 We spend the rest of the day at our hotel pool. 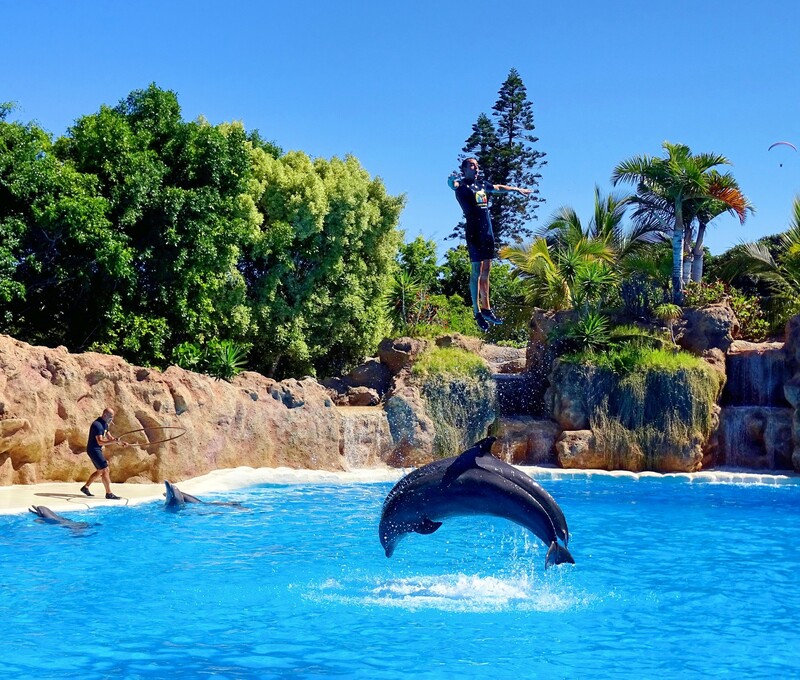 Today Loro Parque is on our agenda, we could walk there from our Hotel, but decide to drive down since we will be doing enough walking in the park. 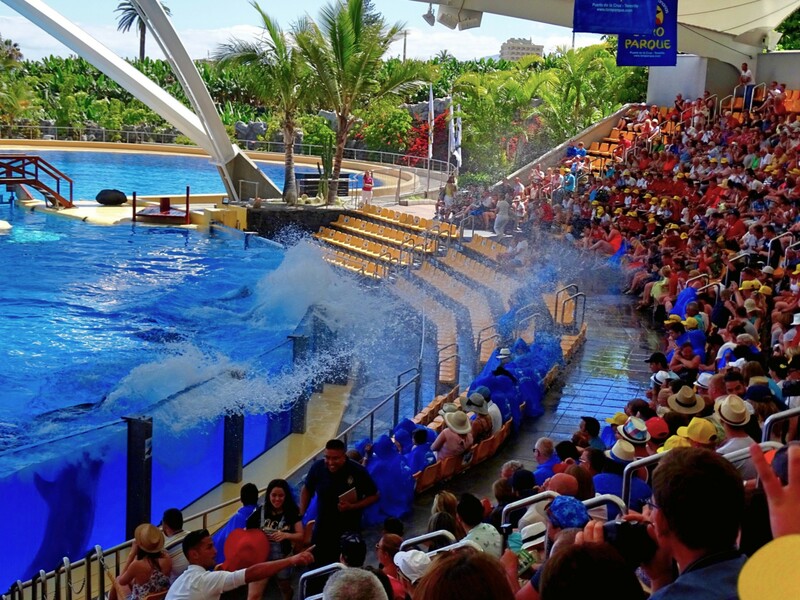 We park directly at Loro Parque, which costs 4 euros for the entire day. 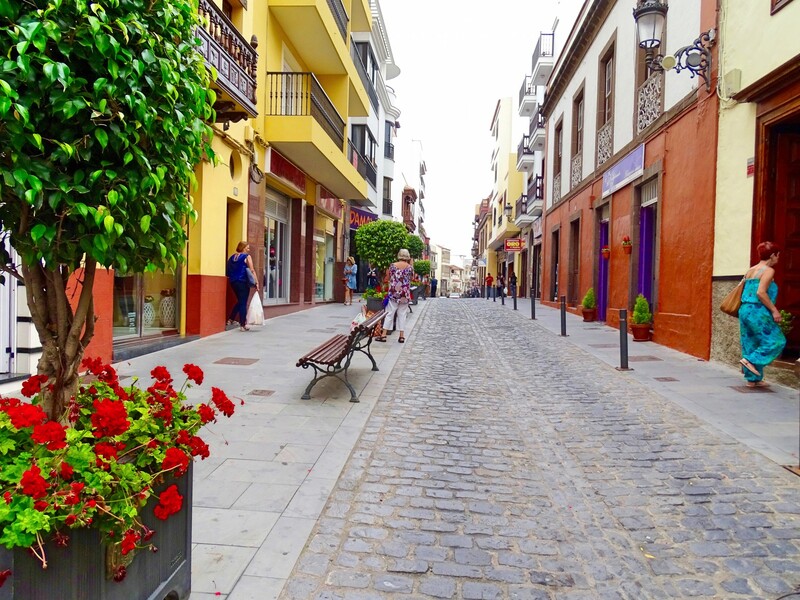 There is also free parking available up Calle del Galeon, behind the park, but we don’t want to have to walk up the hill at the end of the day, with two tired toddlers. 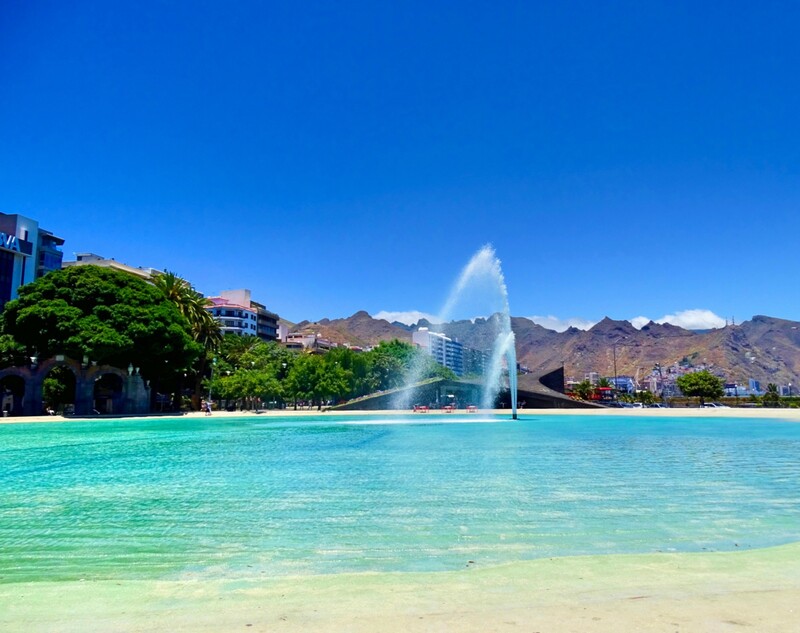 The park also provides a transport service from Puerto de la Cruz town centre, but this only starts at 12PM and the last shuttle is at 16:00. 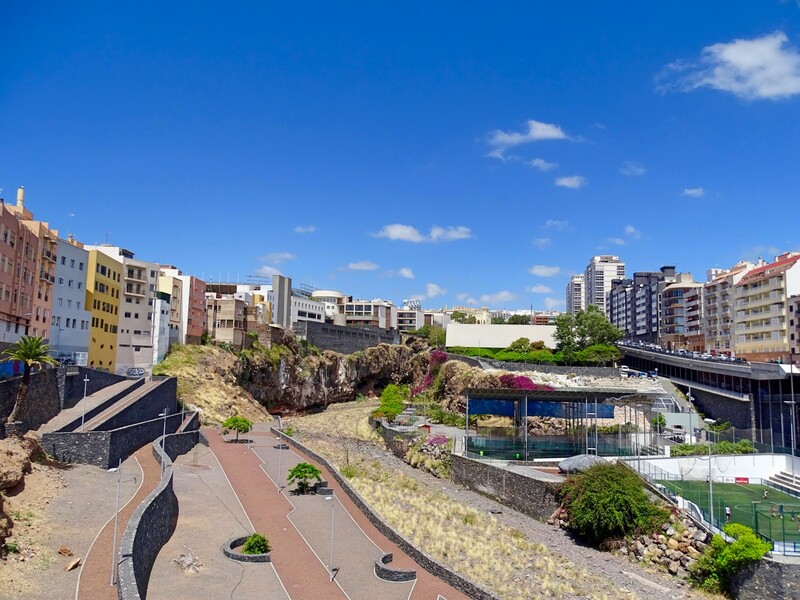 Bus services from Hotels usually start arriving at 10am onwards. 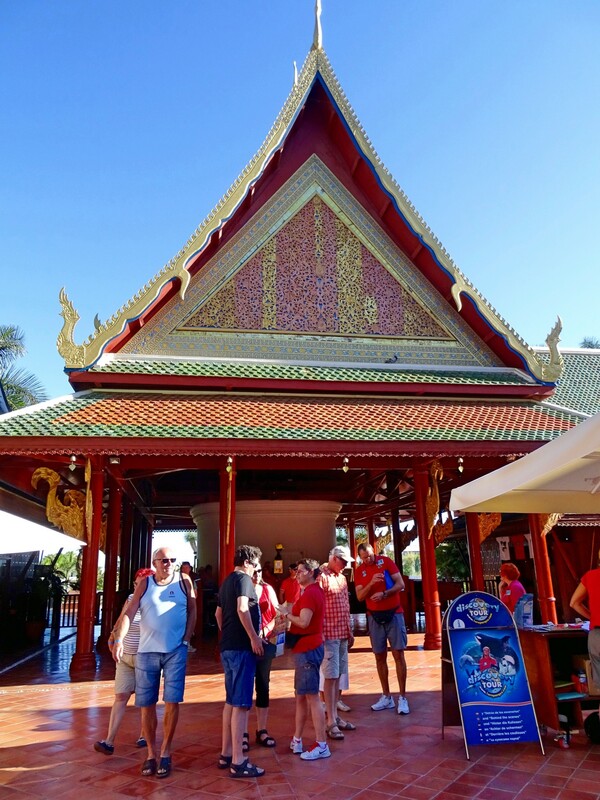 The entrance to Loro Parque takes you across the world to a breathtaking Thai Village! This entire Thai village was constructed out of original Thai wood. The design is impeccable, right down (or rather up) to the 24 carat gold leaf decorated gables. 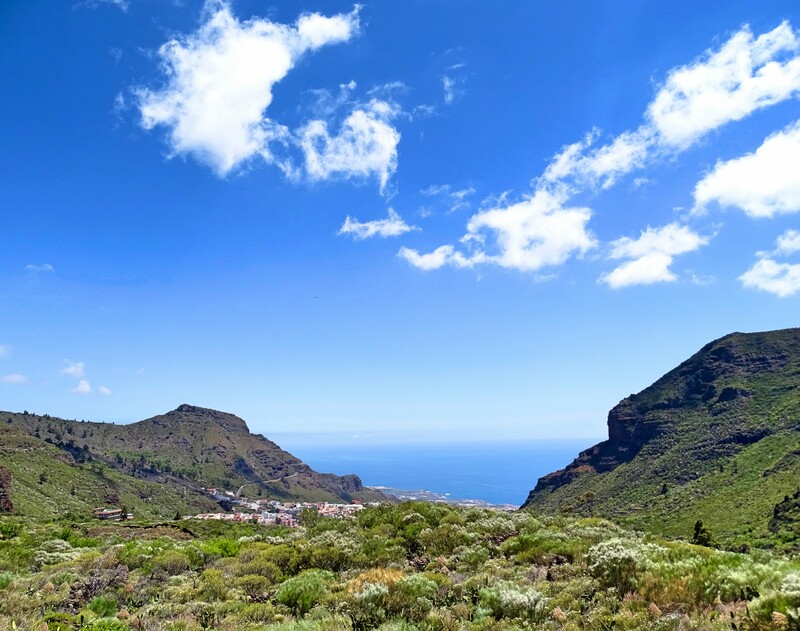 We hire a buggy at the entrance for 5 euro, and refundable deposit of 45 euro, and are then met by numerous staff who speak a variety of languages, to assist you with any questions, and provide information to those who have booked the Discovery Tour or other packages. 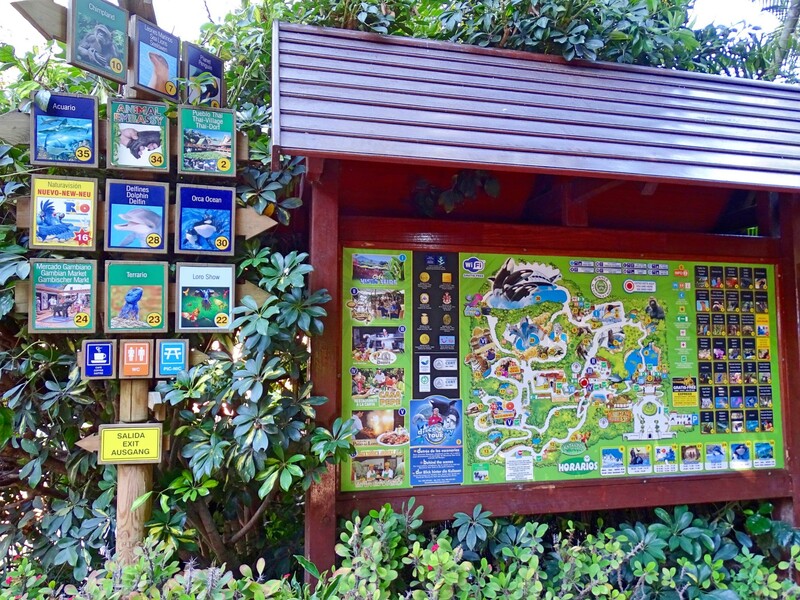 Information and map in hand, we head into the park, passing a secondary entrance where souvenir portraits are taken. We then enjoy a light and refreshing lunch and head back to the entrance for our tour. We booked the tour in German for our kids and Steffi’s German is flawless. 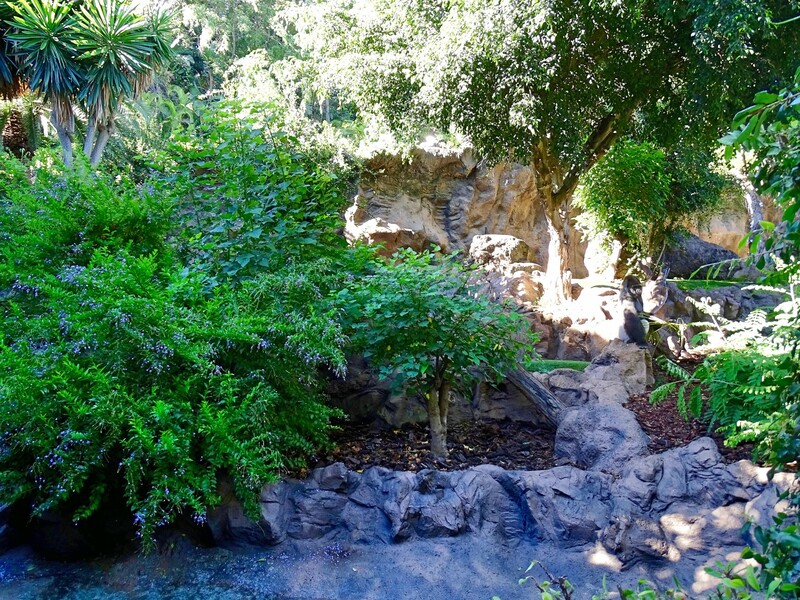 She is an excellent guide who enthusiastically shares her extensive knowledge about the park and animals with us. Our daughter slept in the buggy during the tour, but Steffi made sure to involve our son throughout, he of course loved the attention. 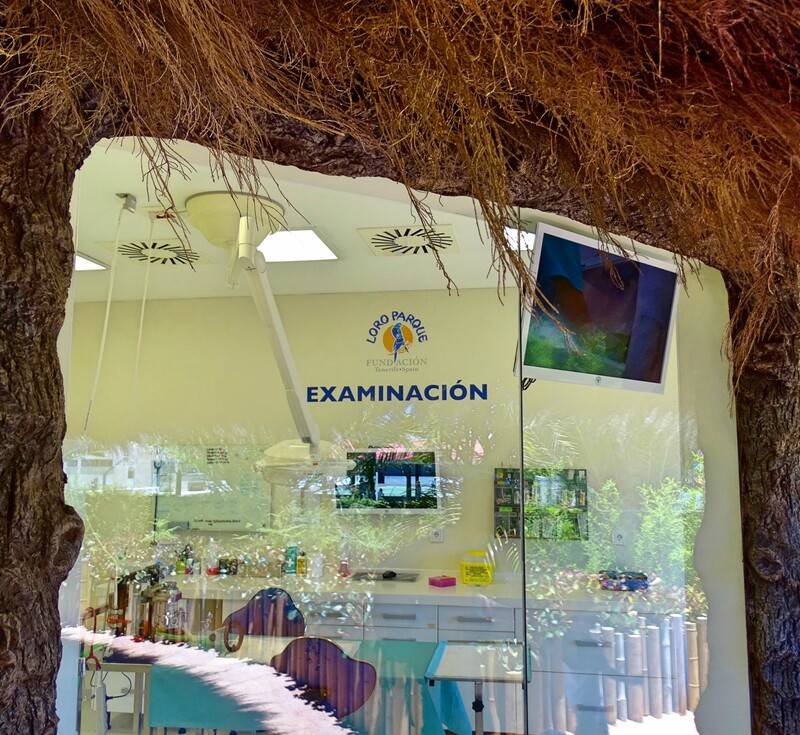 We are amazed by the research facilities, clinics and laboratories, found directly in the park, you could even observe an operation that may take place in the examination rooms. 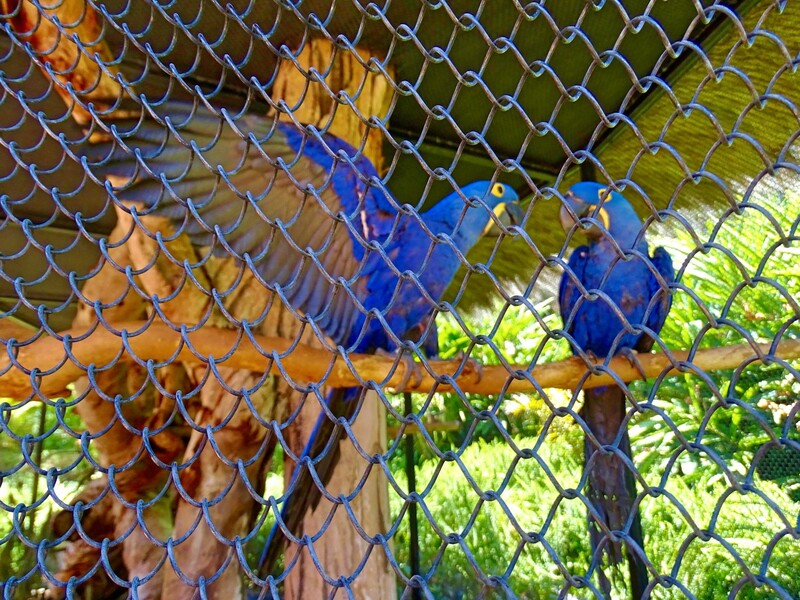 It’s amazing how, what started as a Parrot Paradise, has expanded to become such a large facility housing a huge variety of animals and research facilities. 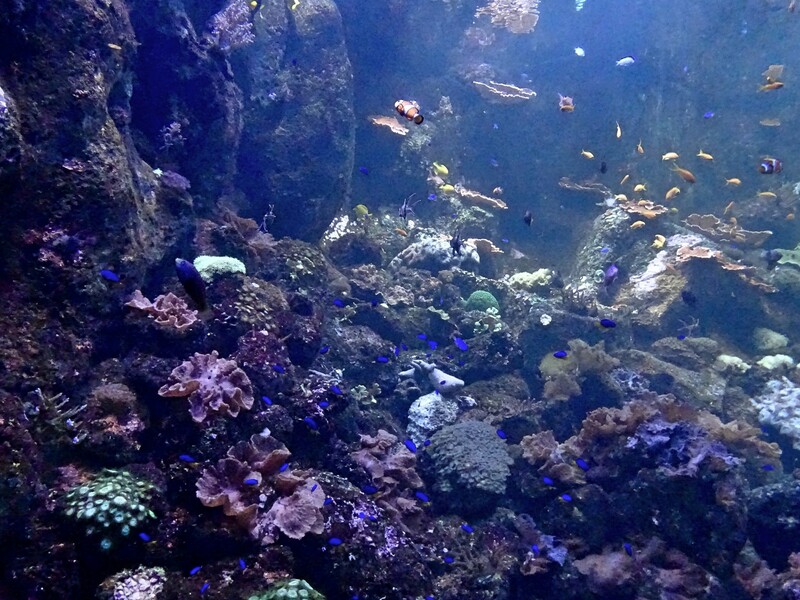 Then there’s also their foundation with its various conservation projects. 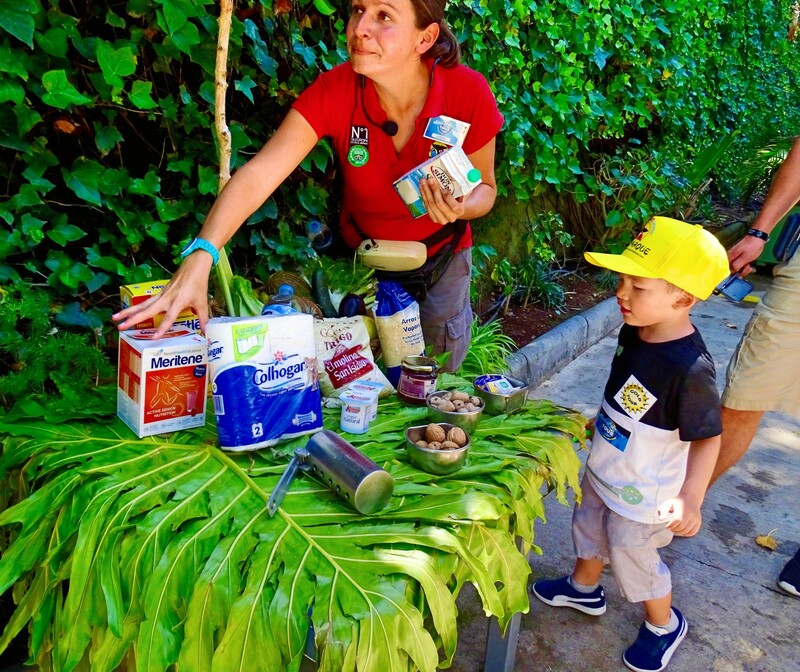 We are most amused at the “behind the scenes” gorilla pen, where the Gorilla’s luxurious meal plan is explained to us. From fruits and veg, to formula, milkshakes and yogurts that ensure they get all the nutrients they need. These spoiled gorillas even get a birthday cake of sugar free jelly topped with fresh fruit on their birthday, amongst other special treats like pumpkins on Halloween! 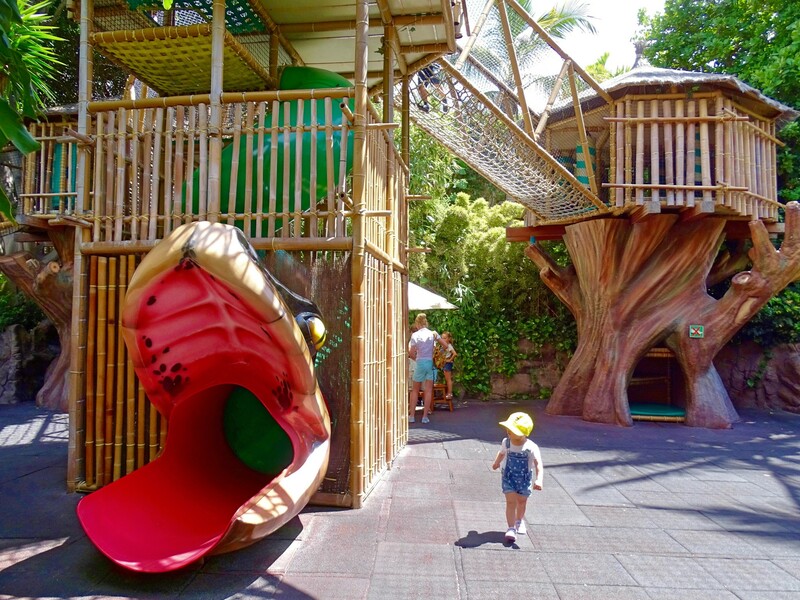 When our tour is over the heat finally gets the better of us, so we sit in the shaded play area of Kinderlandia, sipping on ice cold slashes, while the kids run around. 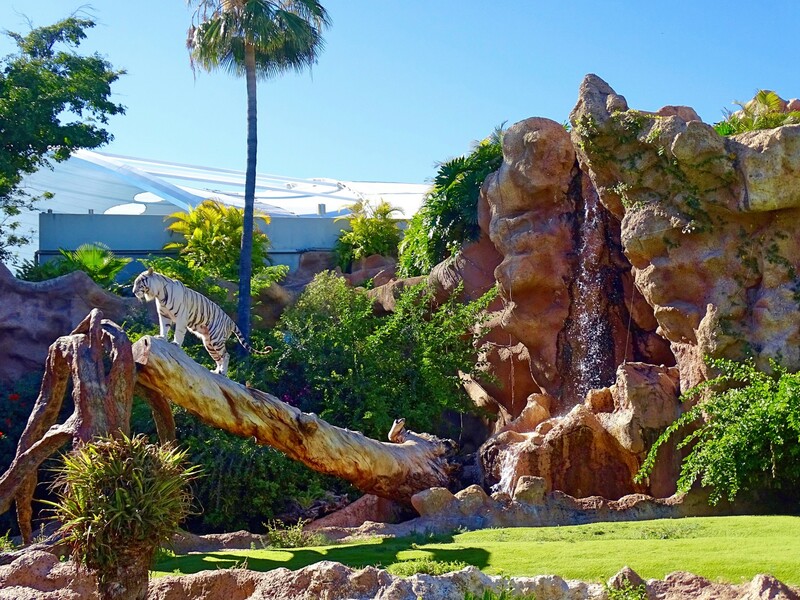 Due to this we miss the parrot and seal show, but are not too bothered as we are already sure that we will be visiting again someday. 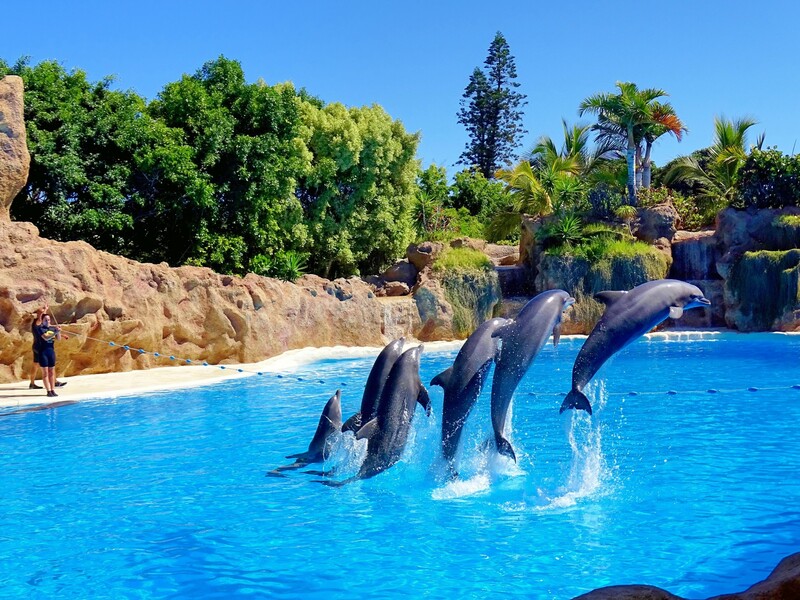 To enjoy all the park has to offer you definitely need to spend a full day there. We were there from 9AM to 17:30 and never managed to cover everything. 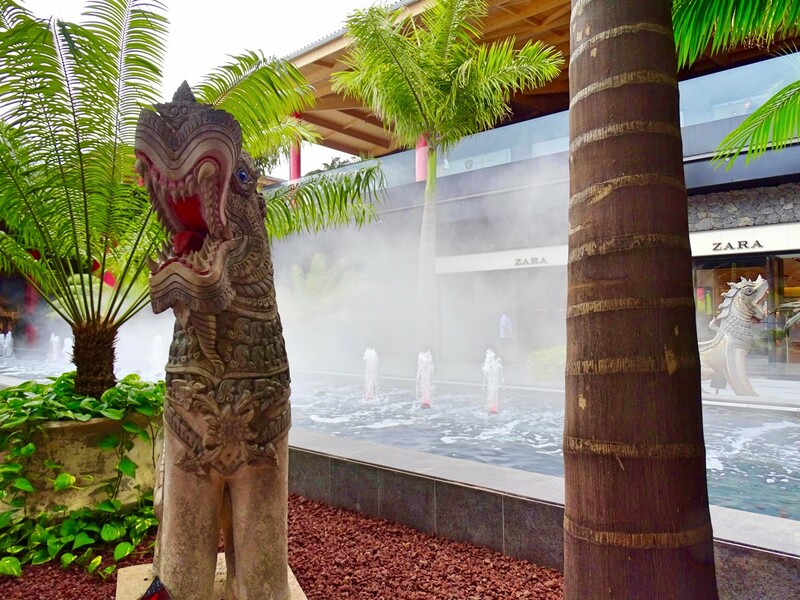 The many package offers are great, but it is also good to know that within the park you can also purchase entrance to Siam, at a special discounted price. 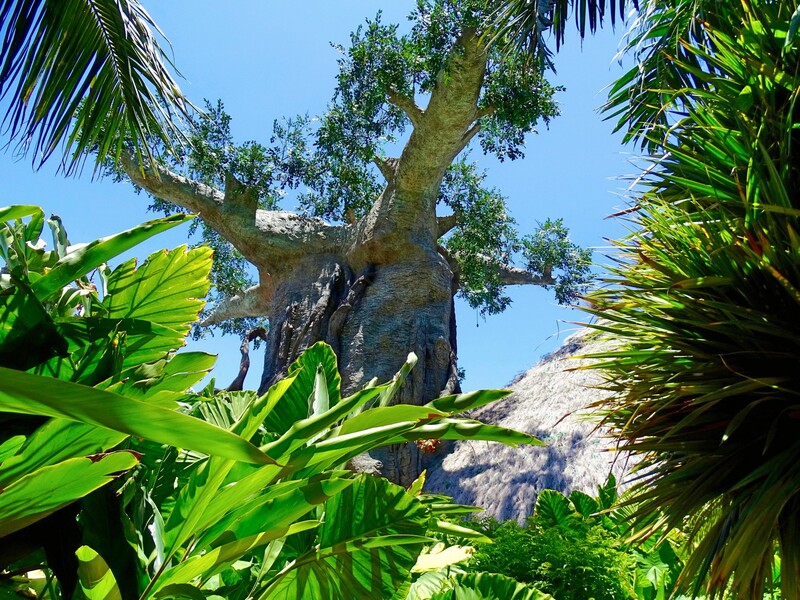 The discovery tour was fun and educational and is available in English, German, Spanish and French. 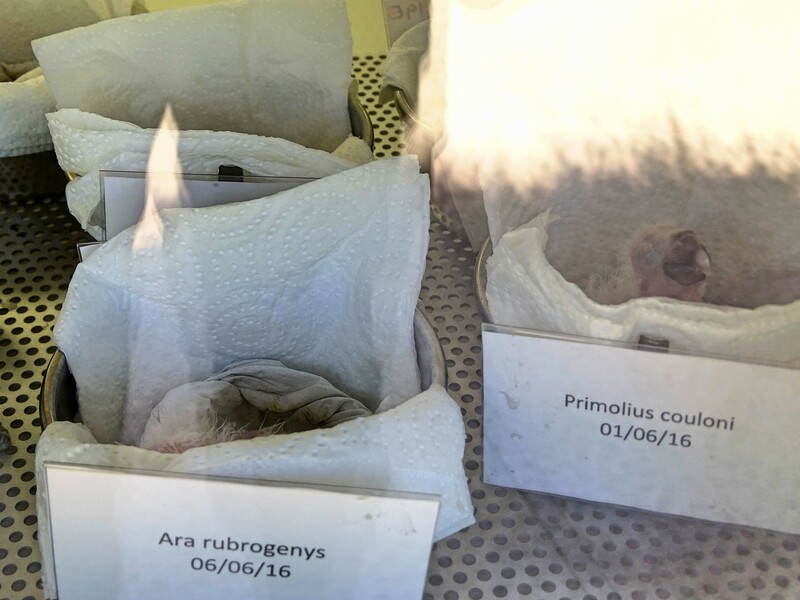 Just remember to call 48hrs ahead of your visit. 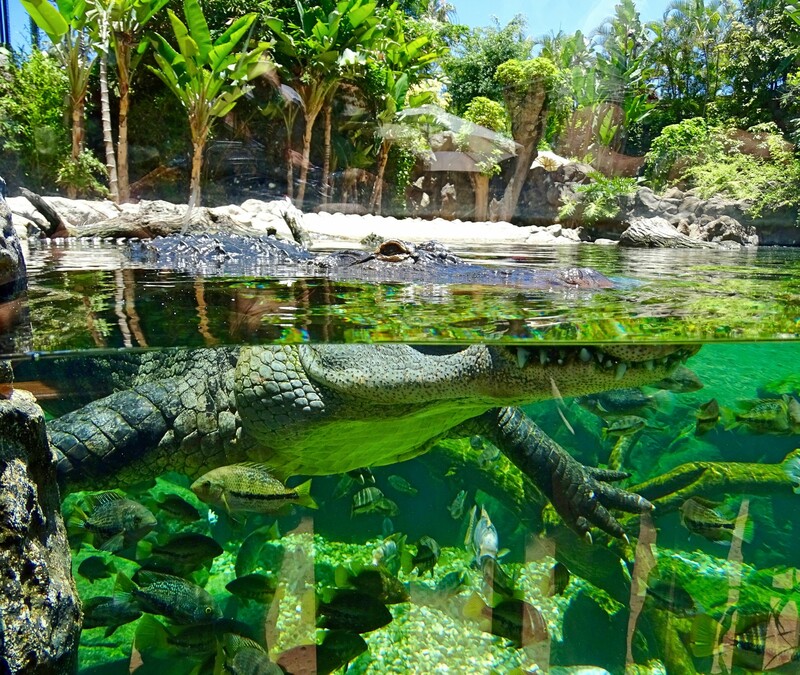 We are now also excited for our visit to the affiliated water kingdom, Siam Park. 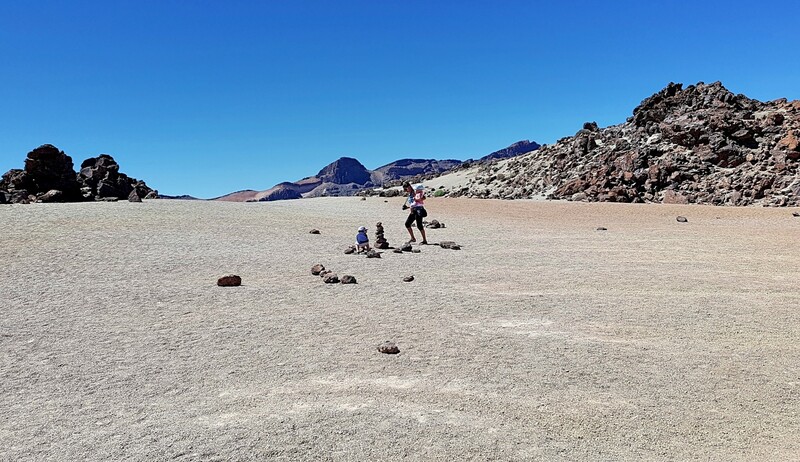 With kids, we don’t want to take part in one of the many tours offered to Teide National Park, they can be time restrictive and stressful, so we decide instead to do our own, which we can enjoy at our own pace. Already in the morning this decision pays off, as we get a late start. Driving up TF21 we pass a small camel park, where we should have made a stop for the kids, the route up was longer than expected and they did start to get a bit crabby. The road is steep and winding, phew, respect for the cyclists riding up! Motorbikes zoom by and in a life prior to kids, I imagine this trip would make for an exciting one. We also see a group doing the tour on quads, so we at least can look forward to perhaps doing that one day, when the kids are older. 😉 The further up we go, the more the trees are replaced by shrubs and rough jugged landscape. 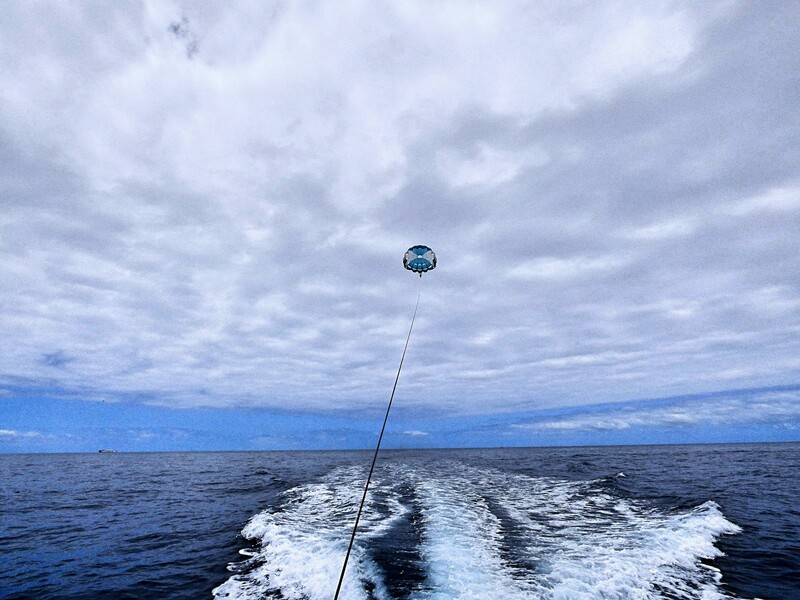 The view is breathtaking, we feel as though we could reach out and touch the sky, as clouds float below us. 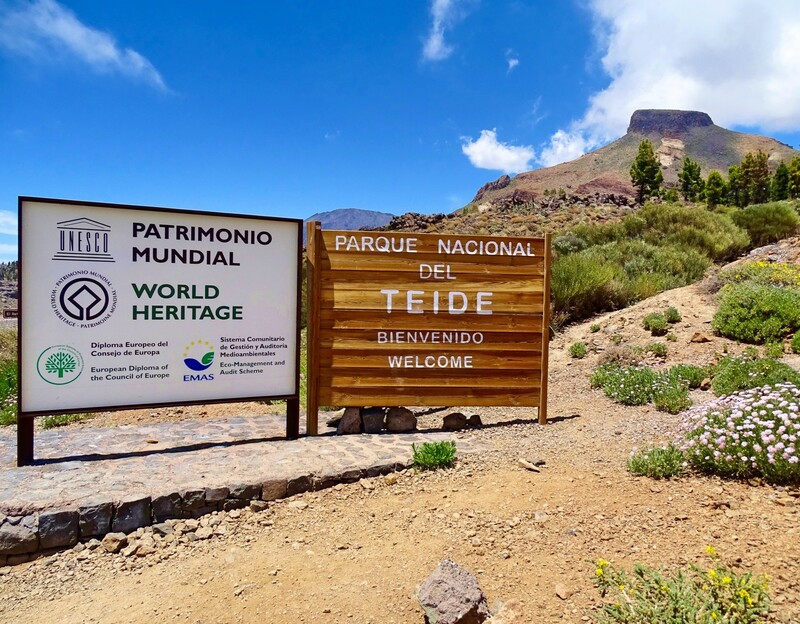 Then we officially enter Teide National Park. 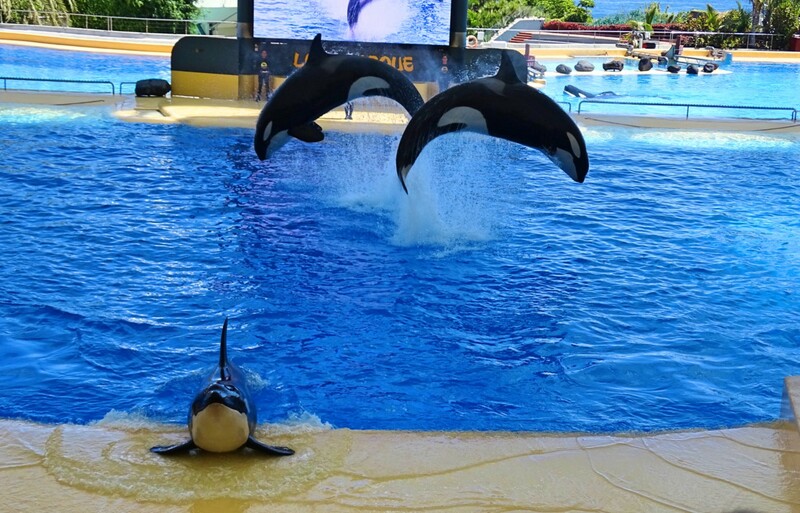 We come to a stopping point where the kids can get out and run around. Surrounded by red rock and a rugged landscape, with the sun beating down on us, the heat deceptively minimized by a strong breeze. 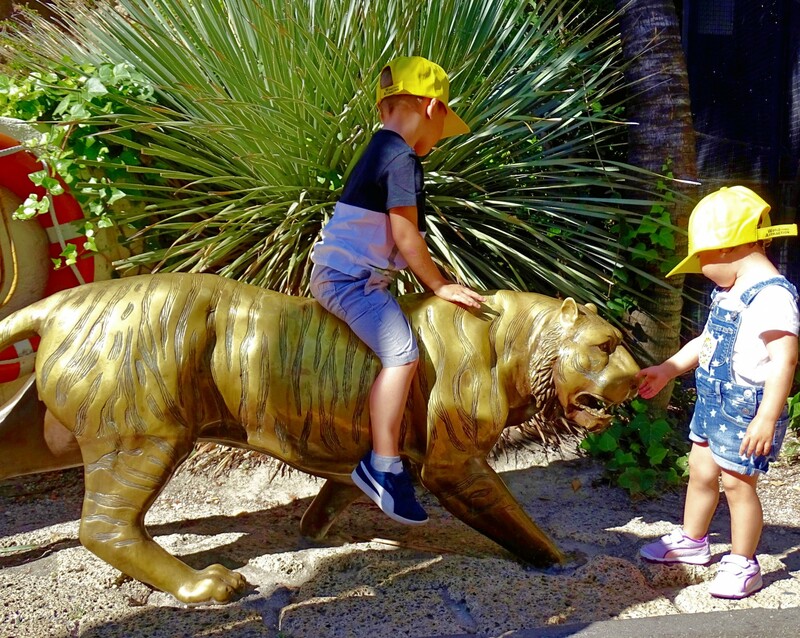 We walk over sand and stones, our son enjoys climbing the rocks and adding rocks to the rock towers that can be found all around. 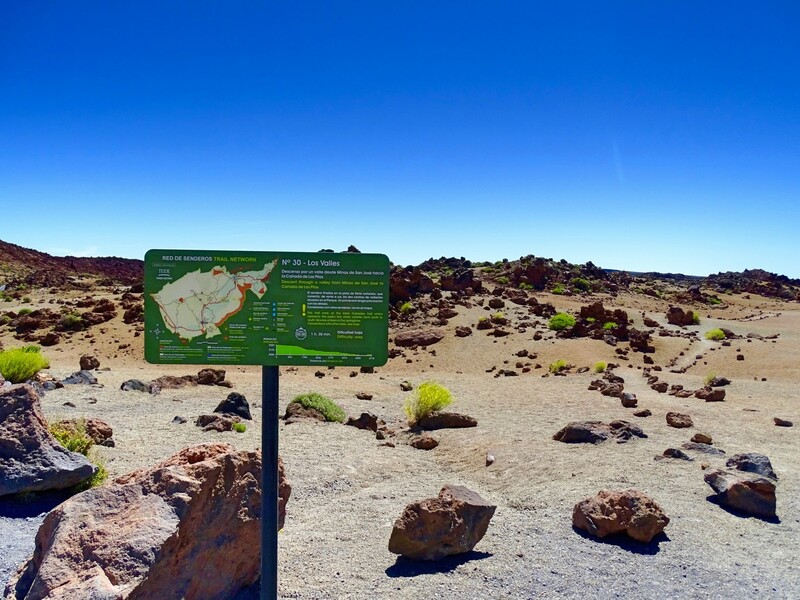 This brutal rugged landscape is impressive, with its variety of colors and craters left behind by lava flows. Crazy! 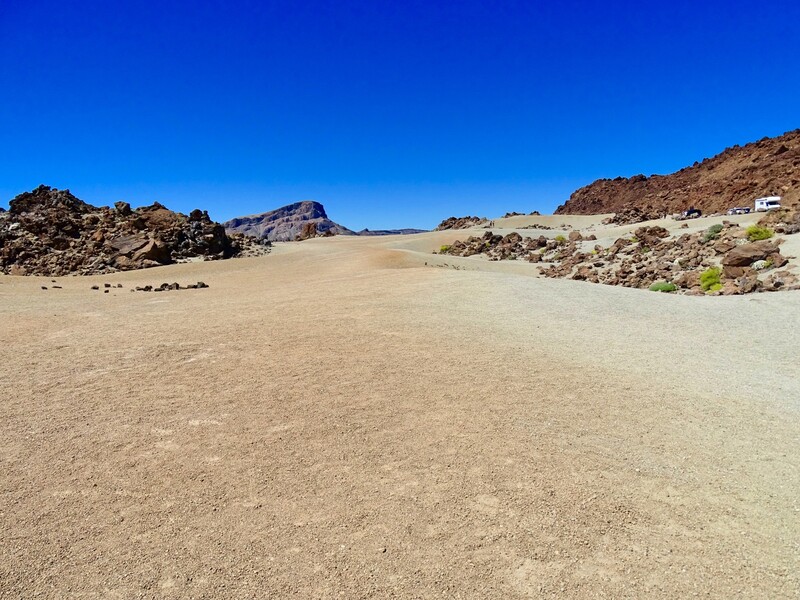 Where we are standing, lava had once scorched the grounds, and on top of that, knowing that Teide is still an active volcano, only dormant since its last eruption in 1909! We make our way back to the car and continue on. 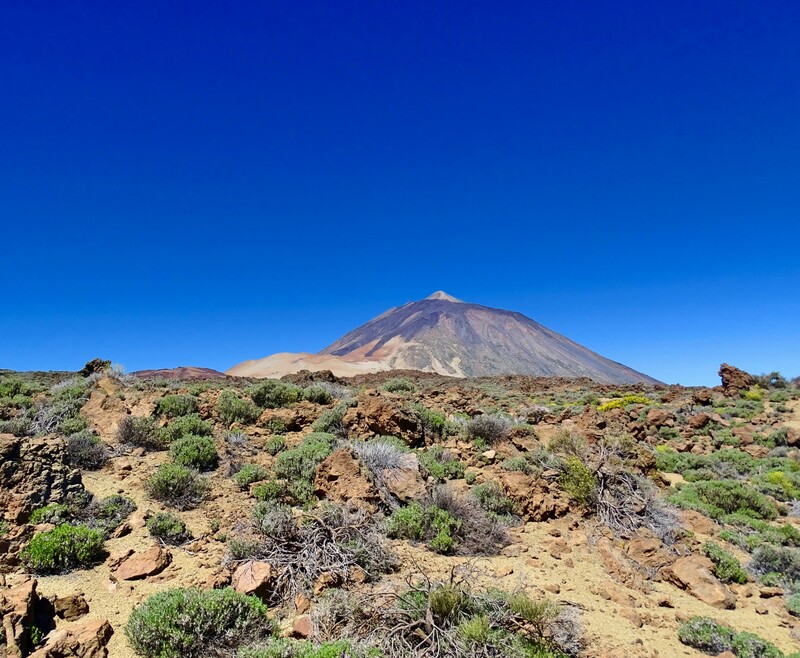 We drive by Teide Base at 2250m. 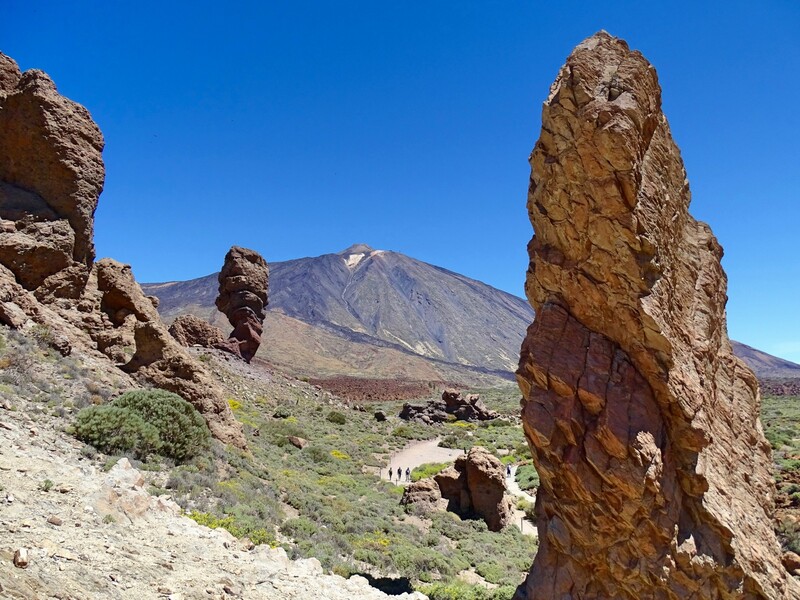 The tip of Teide lies at 3718m above sea level. The cable way stop lies 150m below the top, and you can take a walk up. 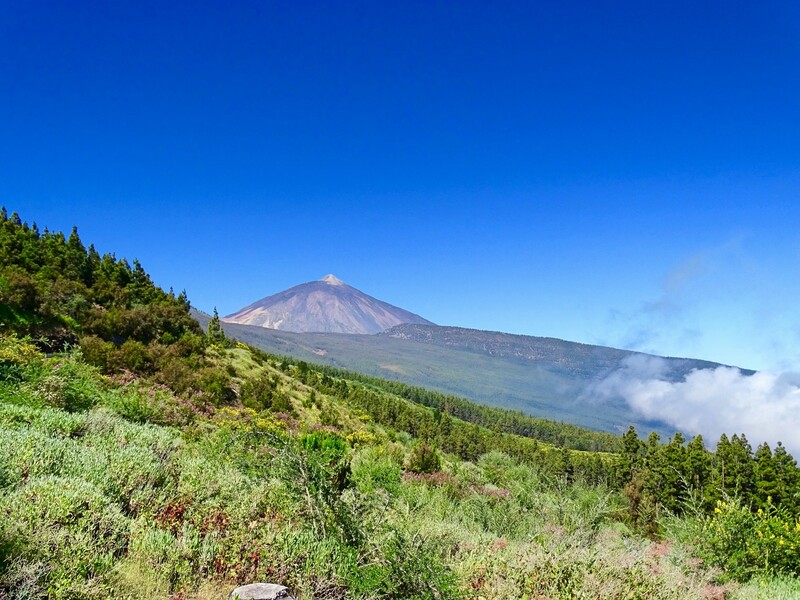 For this a permit is required which needs to be purchased in advance and is available online at www.reservasparquesnacionales.es . 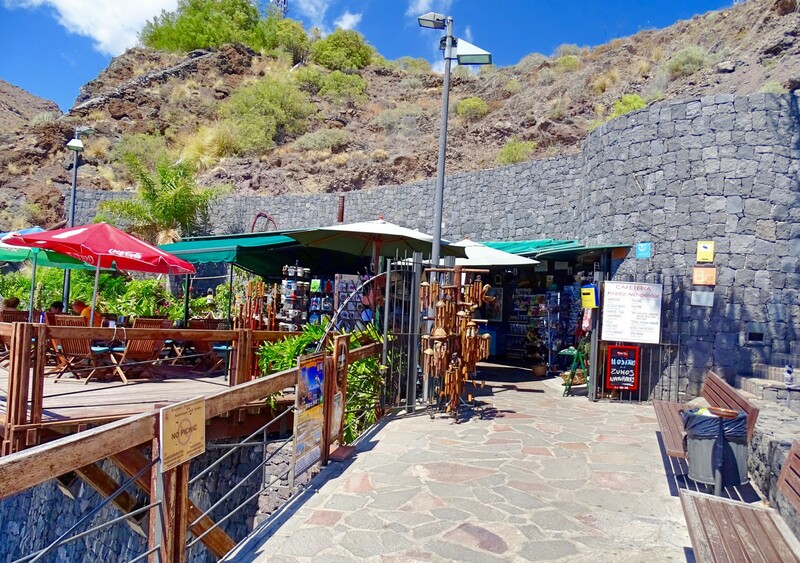 We skip the cable way, as it’s not advised for young children or people with respiratory or heart issues to go right to the top of Teide. 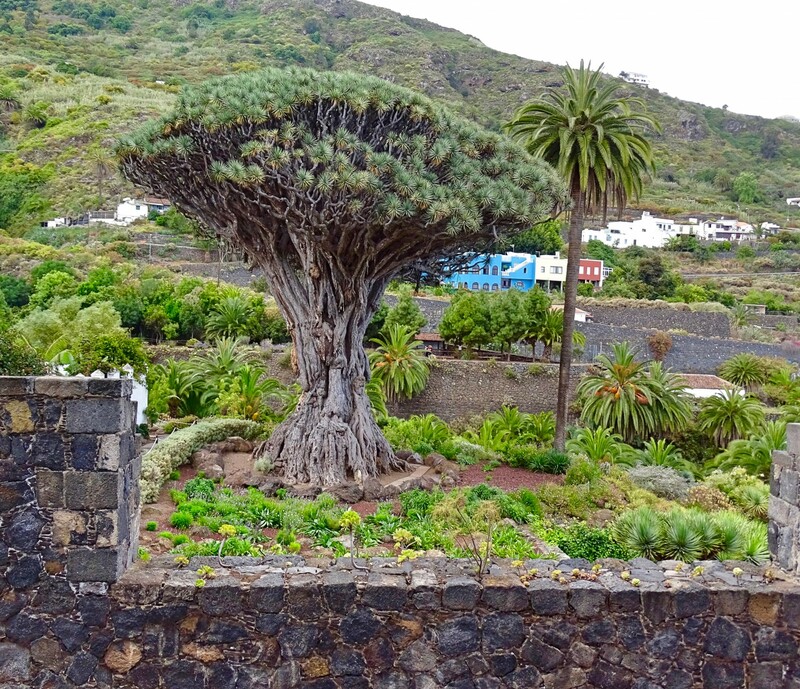 We continue through the park, heading to the the mountain village of Vilaflor. 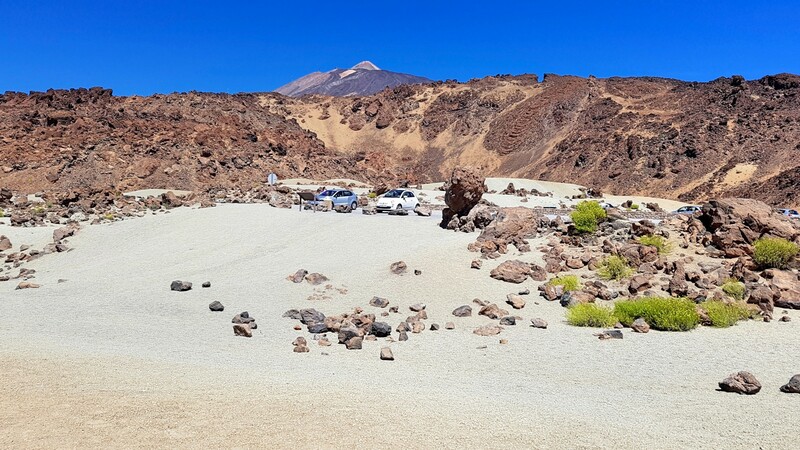 On route we also make a stop at Mirador Ilano de Ucanca, to have a look at Los Roques De Garcia, these spectacular formations are remnants of an ancient volcanic crater wall. 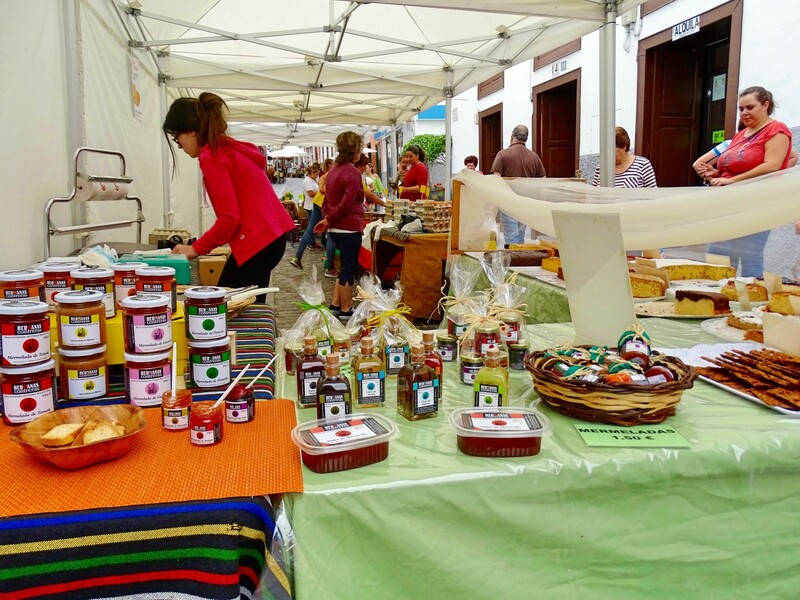 Vilaflor is a quiet little mountain village with a small tourist information office below the church of Iglesia de San Pedro. 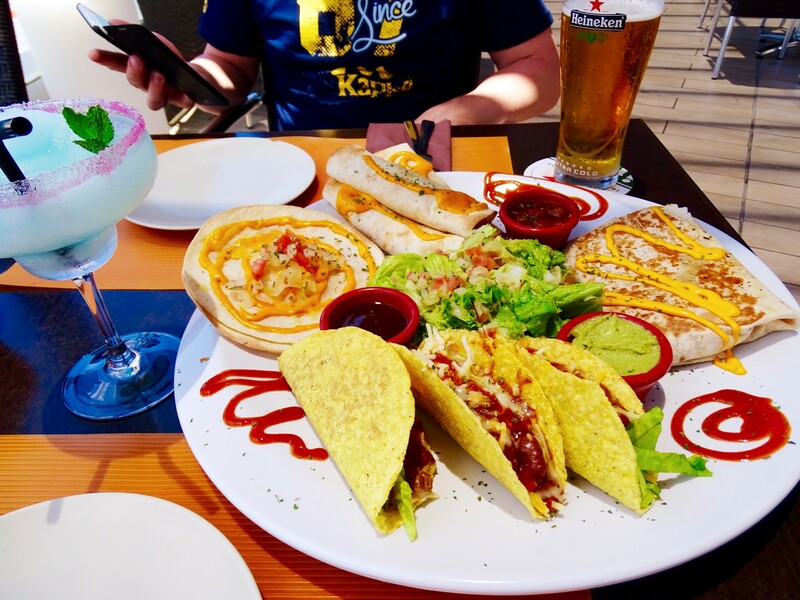 We stroll the streets and find somewhere to have something to eat. 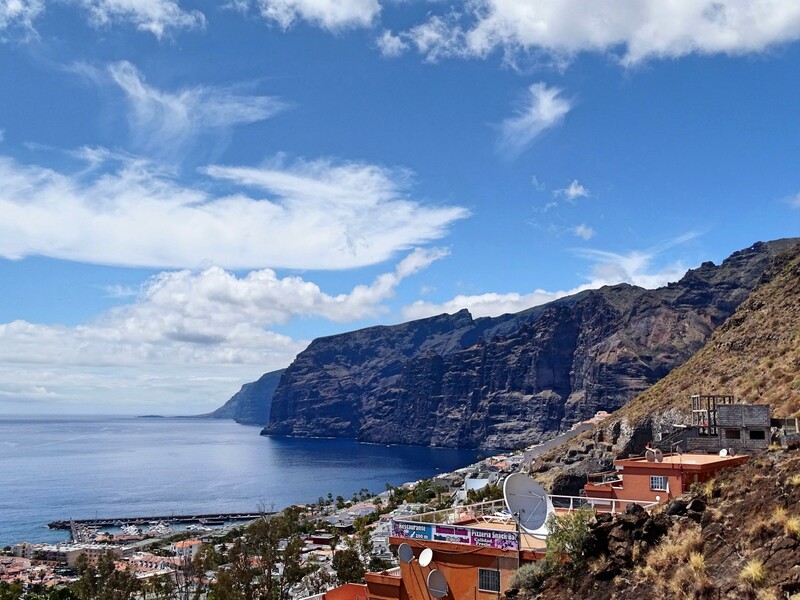 But for us it’s not really interesting, so we leave and head to see the cliffs at Los Gigantes, these impressive rock formations rise from the sea to a height of around 800m. 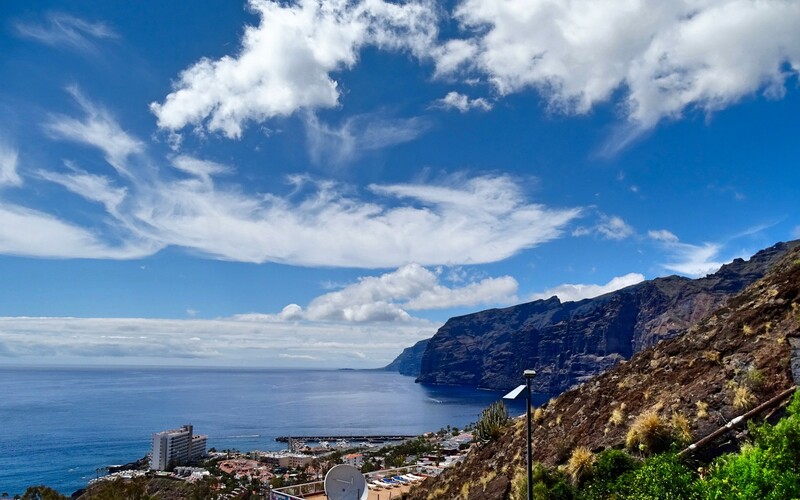 We stop at a little cafeteria that has a great lookout point above it. The view is amazing, and the cafeteria, inviting. We immediately regret that we have already eaten as their menu looks great, I definitely want to go back sometime to try the black paella. For now, we enjoy fresh natural fruit milkshakes and the kids share an ice cream bowl. Next to the cafeteria is also a very nice little souvenir shop. 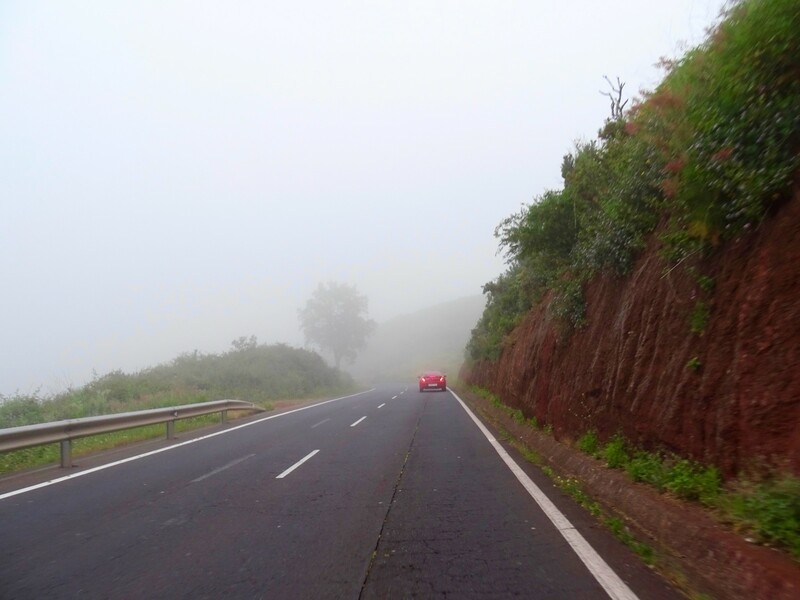 Below is also the town which is to have a great beach and boulevard, but its already quite late and a heavy cloud is sliding down the mountain, proof of how quickly the weather can change, so instead, we take a somewhat eerie drive back to our hotel. 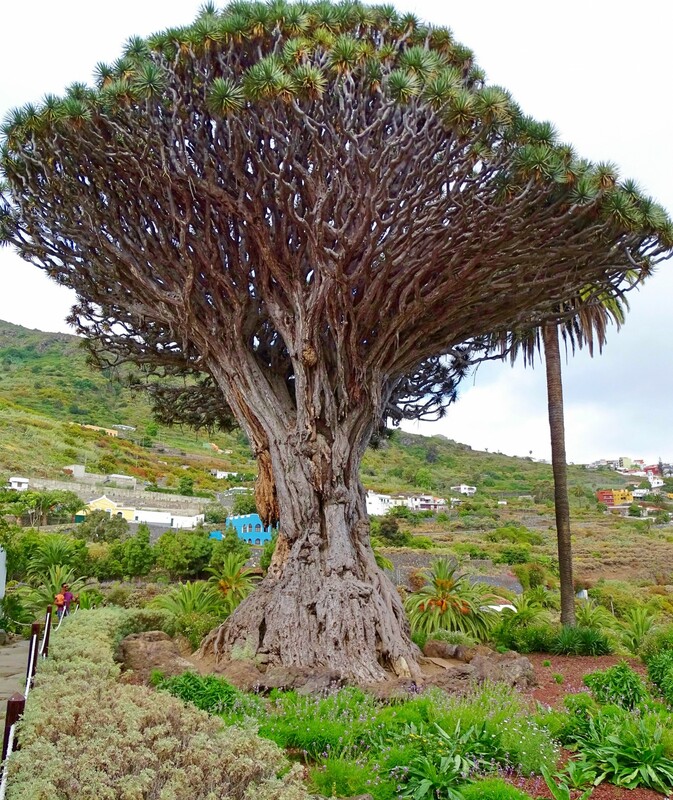 Today we make our way to Icod de los VInos to have a look at the Dragon Tree at Parque del Drago. 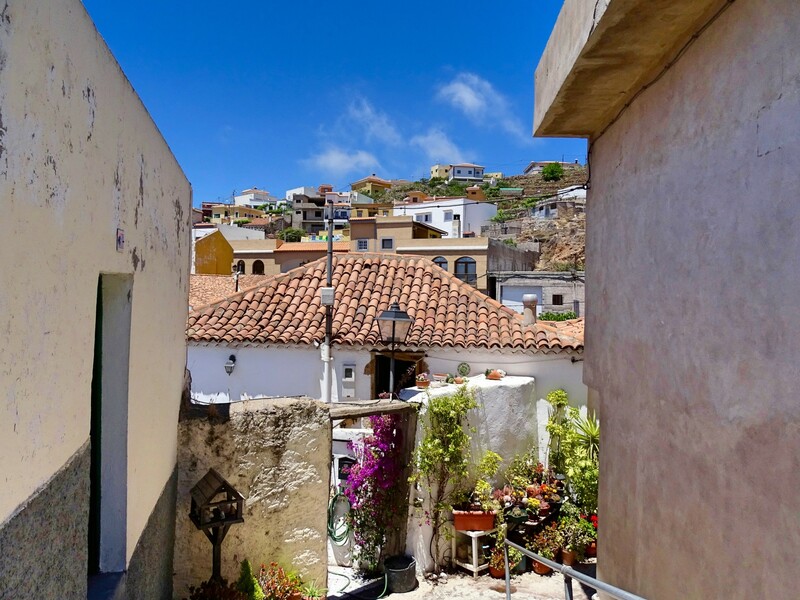 I don’t want to be behind the wheel in this little town with its extremely steep and narrow streets, where at most times you don’t even have a clear view around corners! 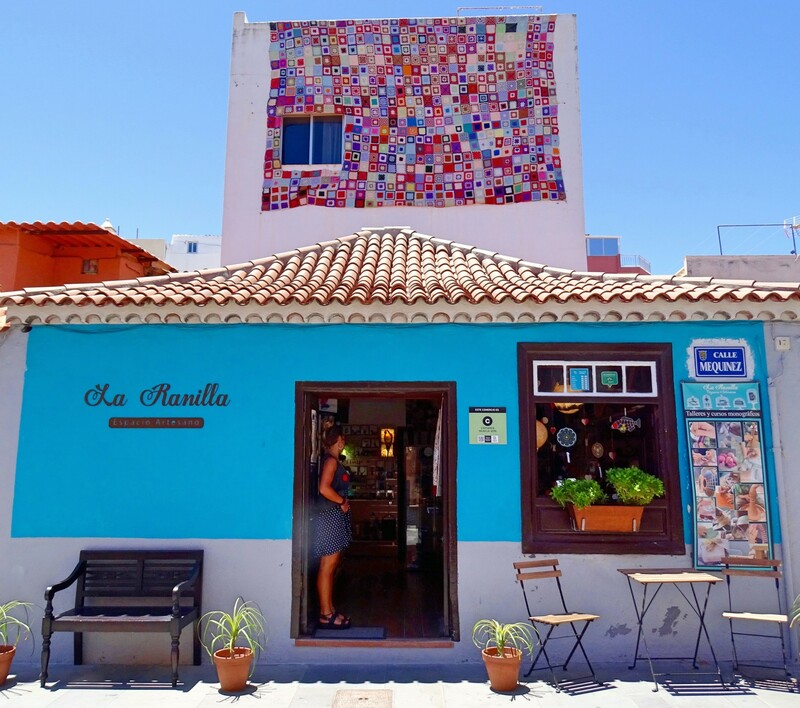 Due to its narrow streets, parking is limited, but there are two pretty big designated parking areas. We find an open parking square that costs 1.50 euro per hour. 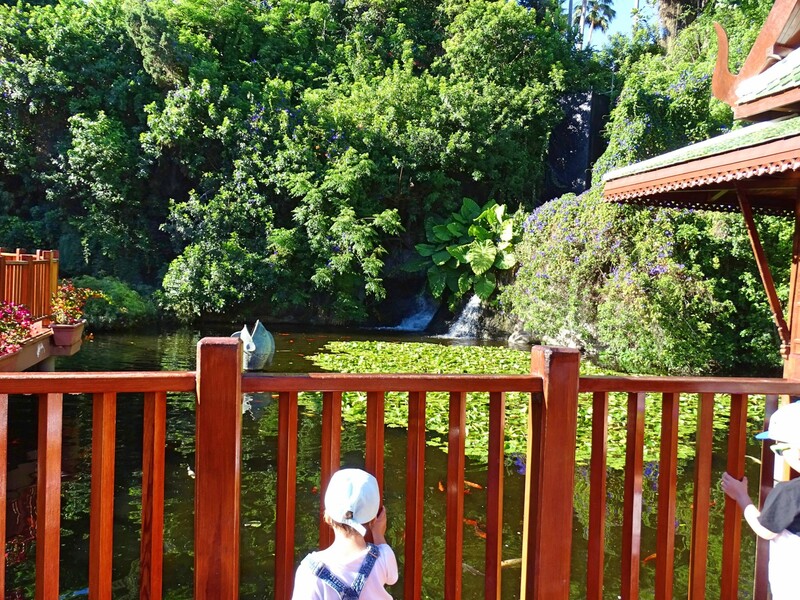 We initially want to first go to Mariposario del Drago, the butterfly farm which houses over 800 free flying butterflies, but much to our daughter’s disappointment, they are currently closed, due to municipal issues. 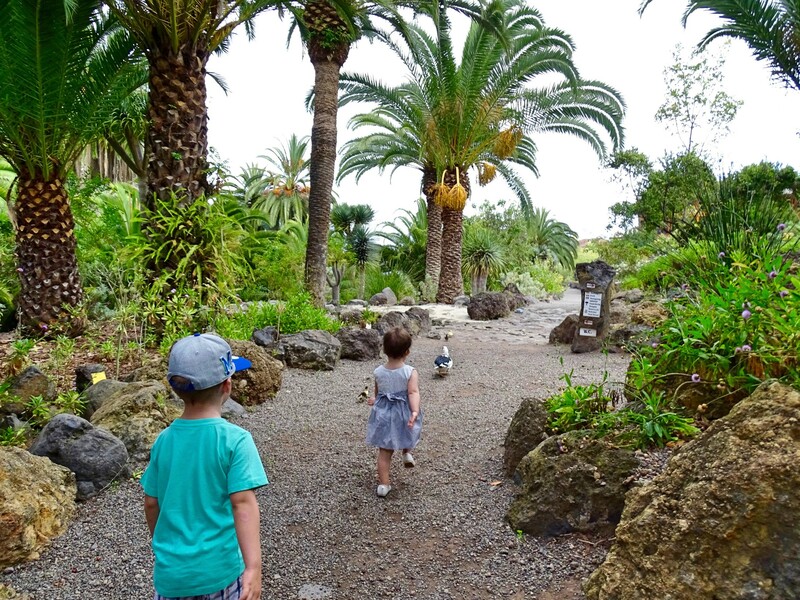 So we head directly to Parque del Drago, entrance to the park is 5 euro per adult, our kids enter for free, prices for older children are 3.50 euro. 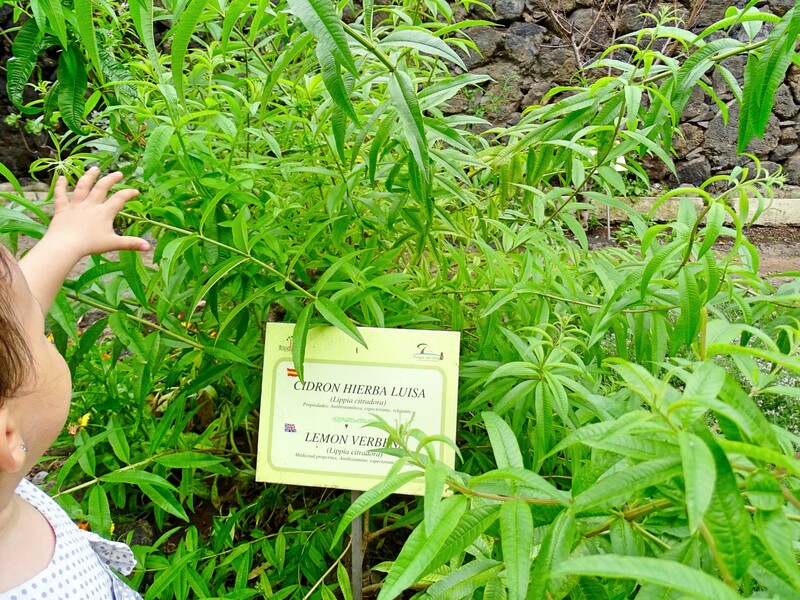 Within the park is a small botanical garden with a wonderful herb garden, where our kids enjoy rubbing the leaves and smelling the different fragrances on their hands. 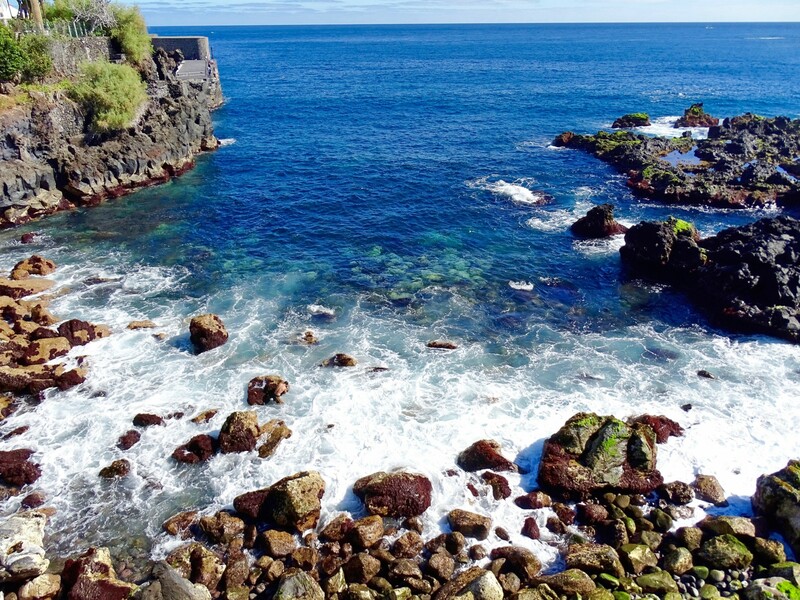 There is also a cave to explore from the Guanches. 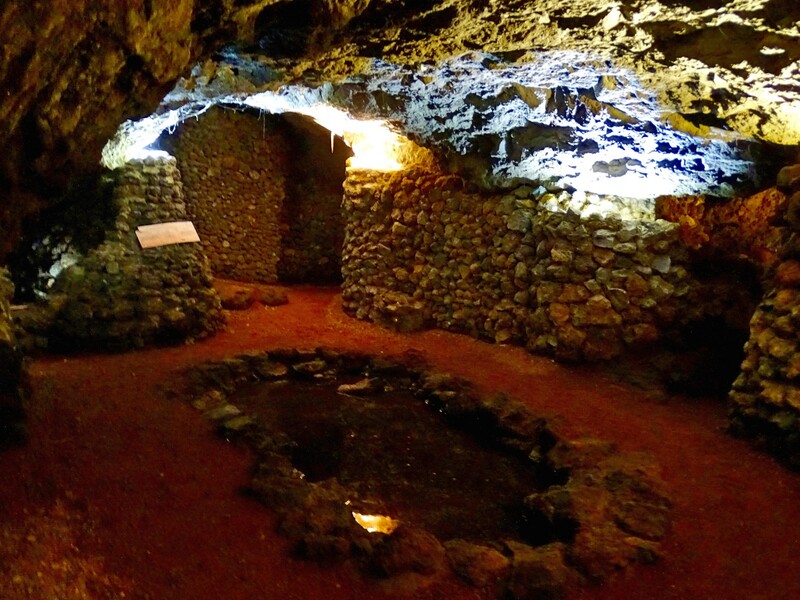 The Guanche, Berber aboriginals, buried their dead in hard to reach caves, like the one here. 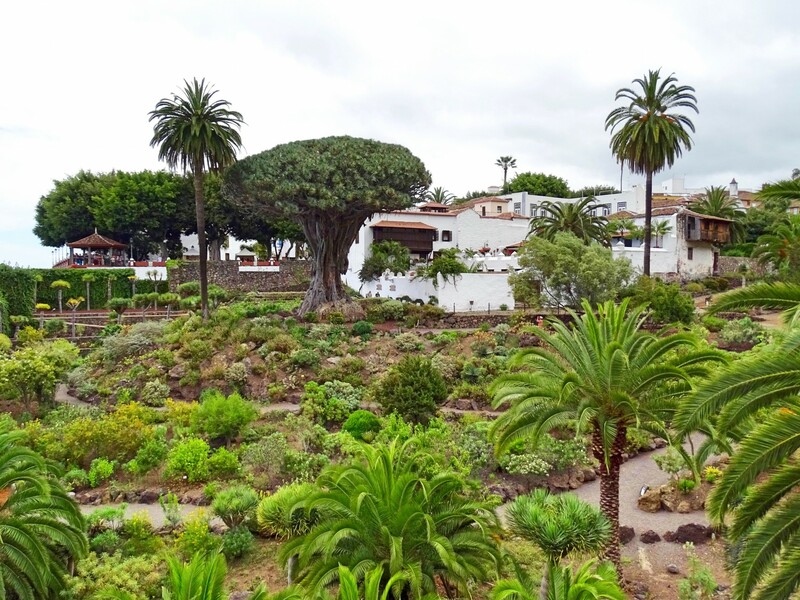 Then there is the impressive 1000-year-old dragon tree. 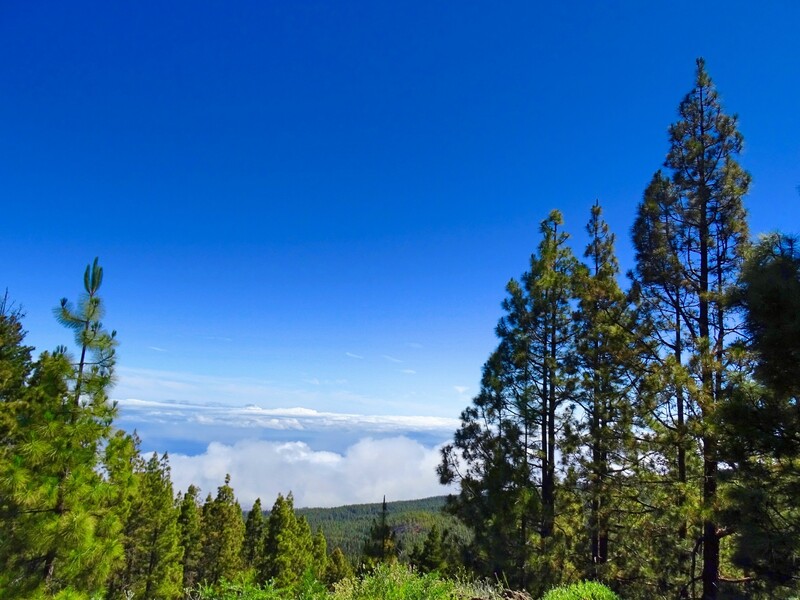 Although the age of the tree is debated to be between 600 to 2000 years old, as these slow growing trees (which takes about 10 years to grow 1 meter) do not have growth rings making them difficult to date. 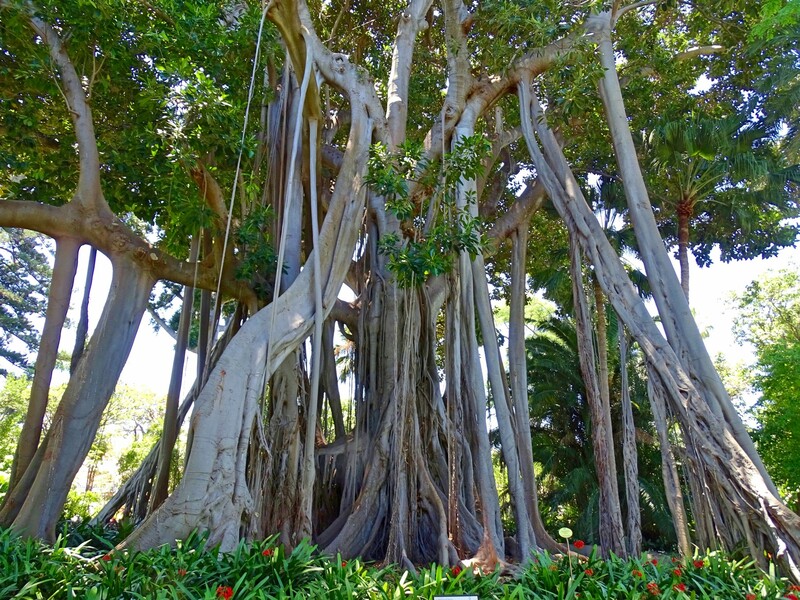 It is still the only one of its kind with its age and dimensions, which reaches over 20 meters high and 10 meters in perimeter of the base of the trunk! 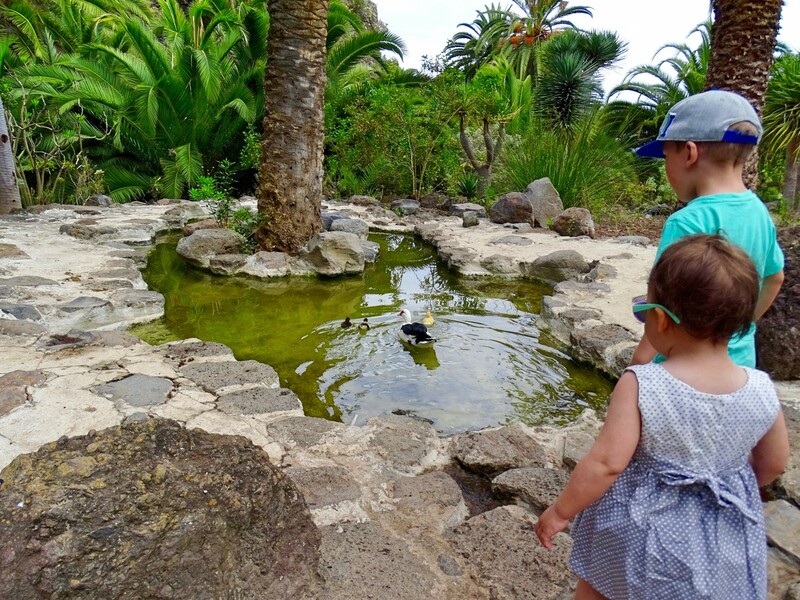 I’m sure the highlight for our kids were the ducklings though! 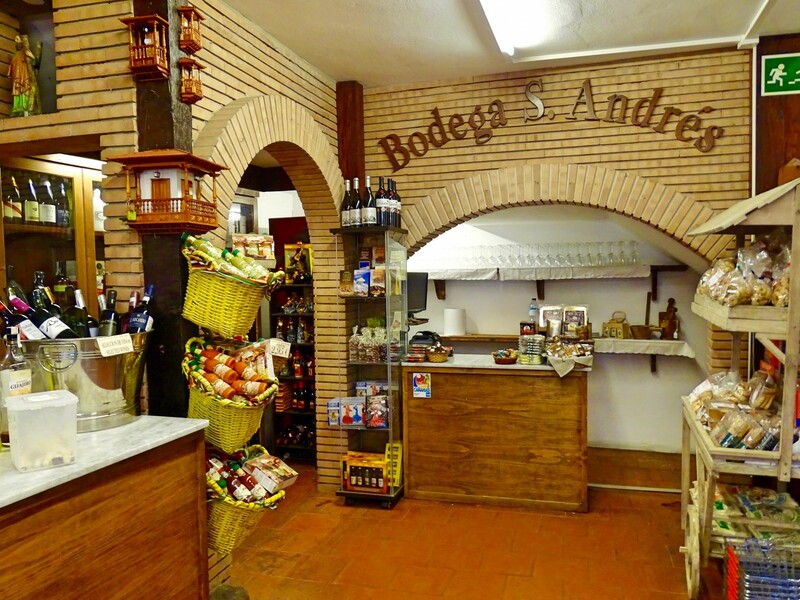 Exiting the park, you pass through a courtyard surrounded by souvenirs shops and a small snack bar. 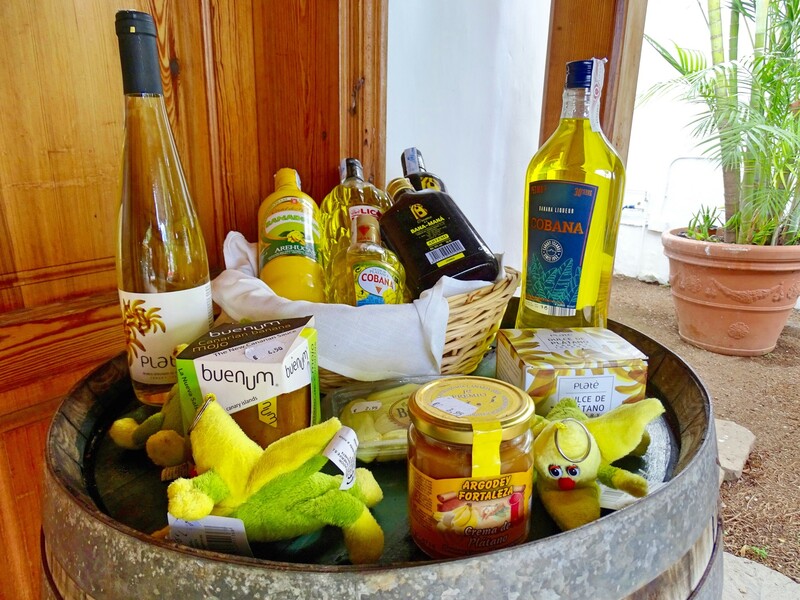 Here you can enjoy tasting banana wine and rum, as well as local jams and delicious mojo sauces. 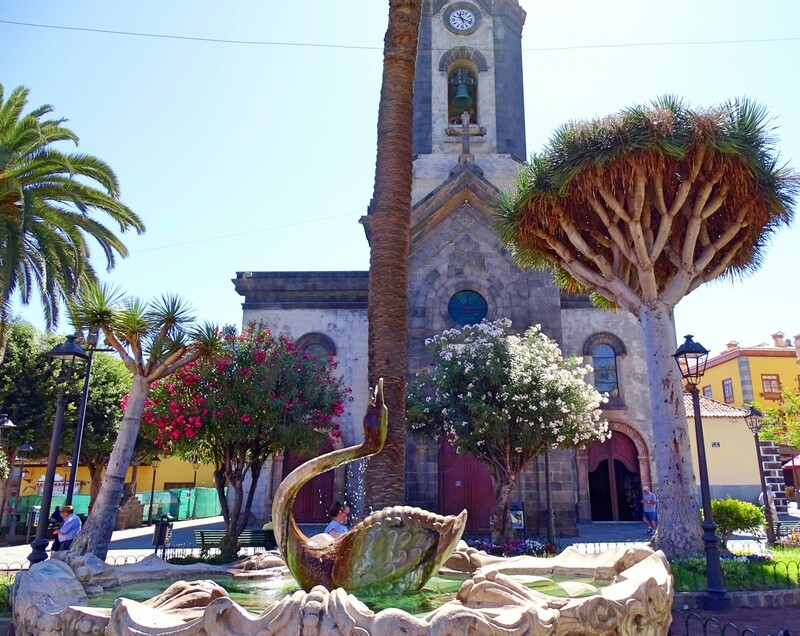 If you don’t feel like heading into Parque del Drago, you also get a great view of the Dragon tree from the shaded main square of Plaza San Marcos, here you will also find the towns beautiful white walled church, Iglesia de San Marcos, which on our visit is currently being restored, a playground for the kids to play and a little café where you can enjoy a light meal and refreshing smoothies or a variety of natural juices. 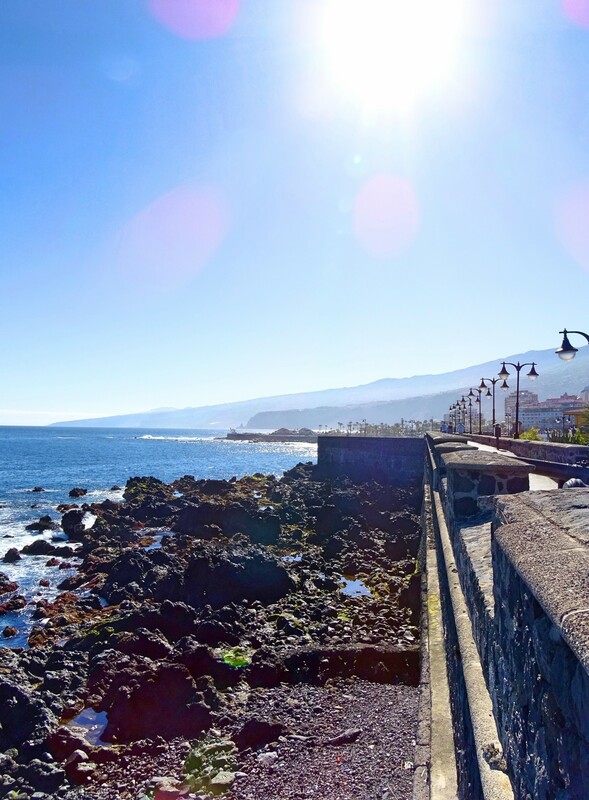 The ocean view from the plaza is also magnificent. 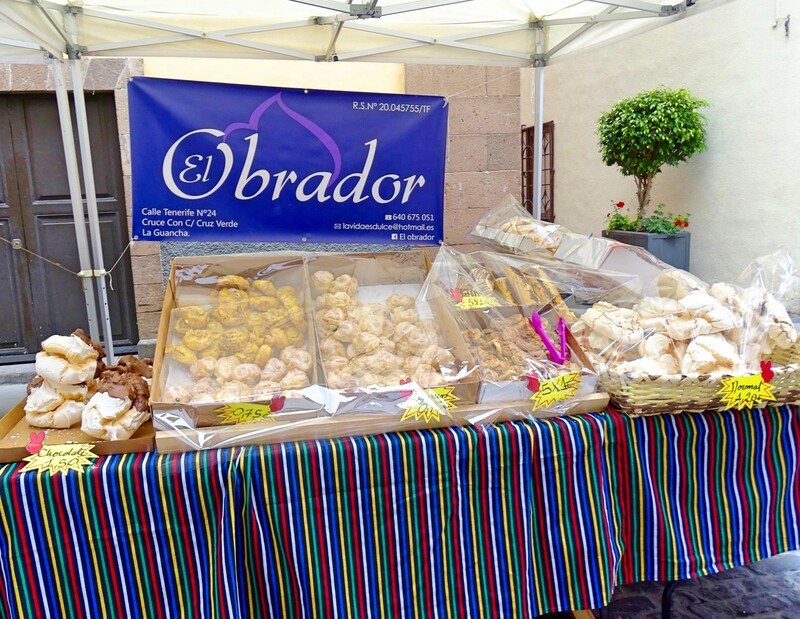 We head into the town of Icod, and all along the way are invited for wine, liqueur and cheese tasting which are all available for free. 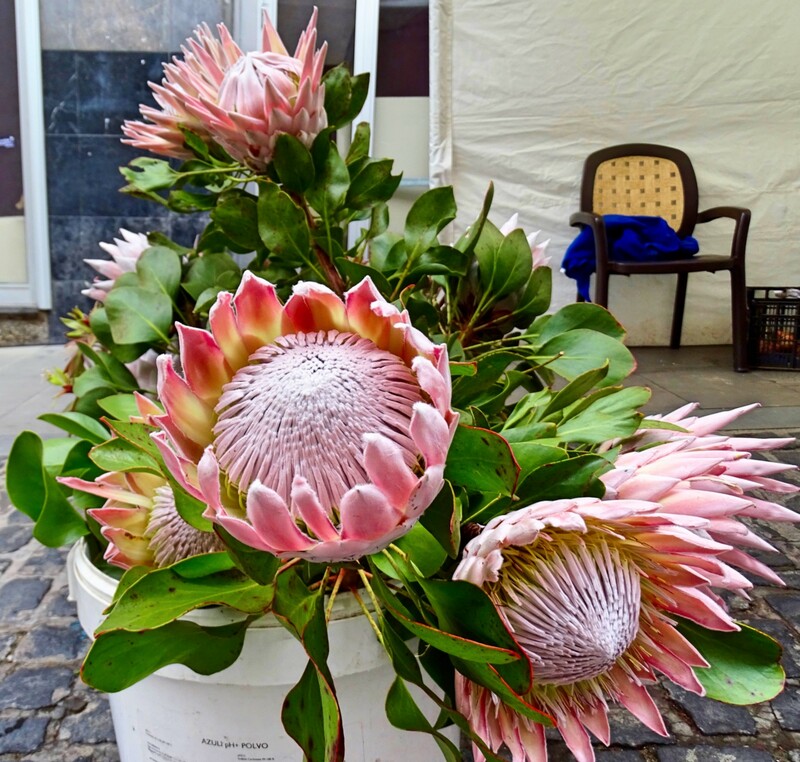 We stroll the narrow cobble stone streets, and pass a little market with local delicacies, fruit and veg stalls and even stumble across Proteas, South Africa’s National flower, being sold here. Finally, we come to a small quiet café where we decide to have a light lunch, of plain but delicious sandwiches. 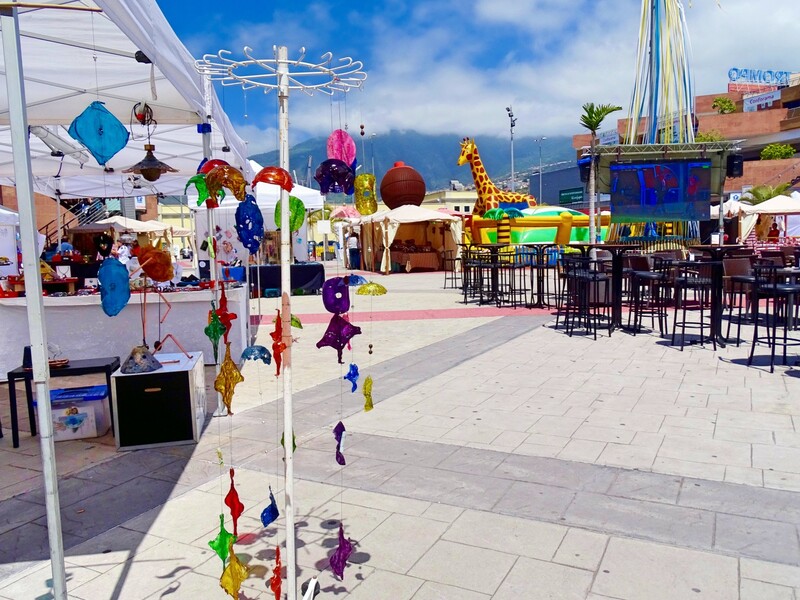 It’s slightly cloudy, so we browse the malls El Trompo and La Villa in La Orotava, where we find another market and loads of entertainment for the kids, while the weather clears up. 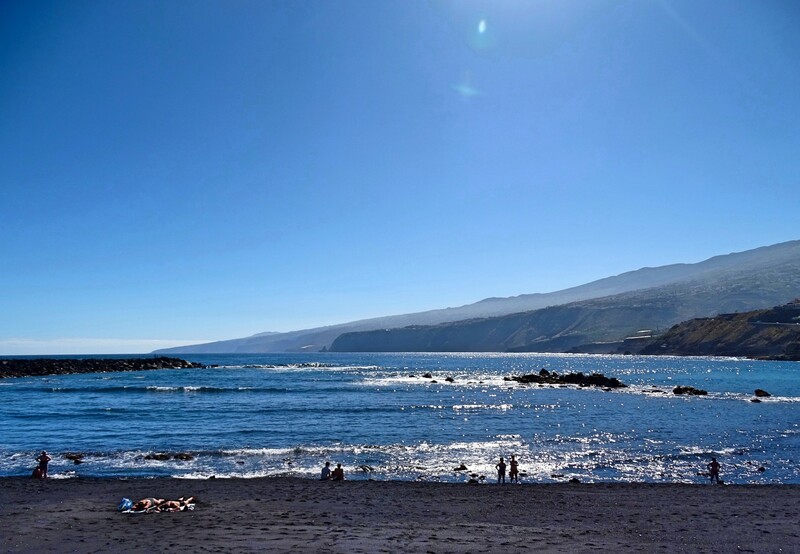 We end the week with a drive to Puerto Colón Adeje, in the South, where I have a jet ski and parascending package booked with Parascending Tenerife. 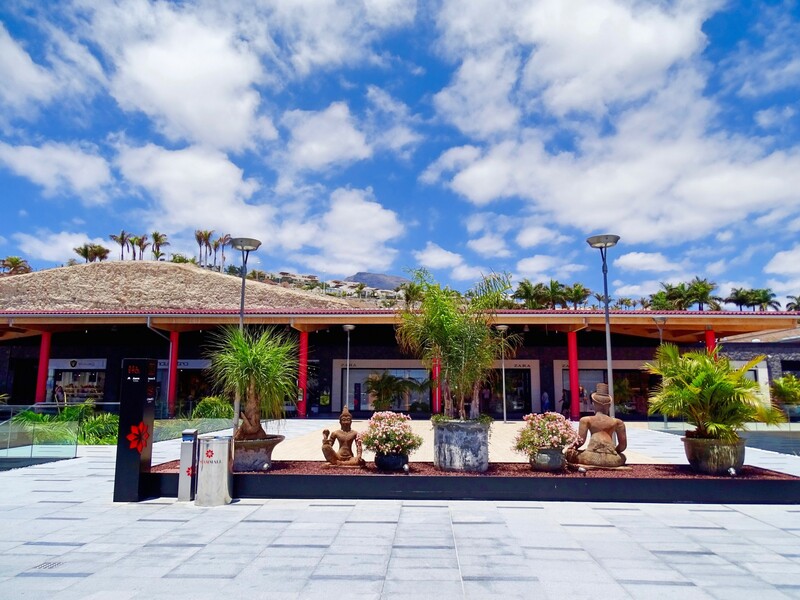 Adeje is definitely the popular holiday spot with its clusters of holiday homes, hotels and shops. Then there is the traffic to go with the busy area. 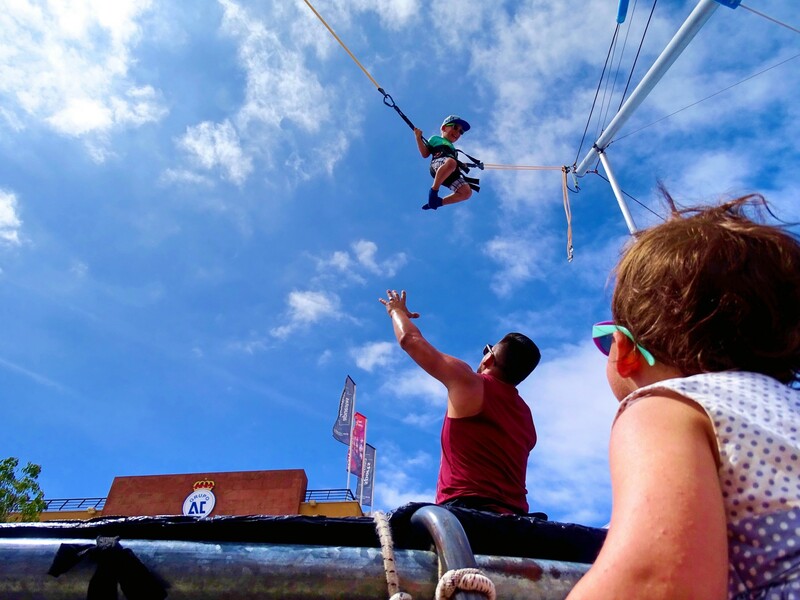 We finally make it to Puerto Colon Harbour which is packed with numerous shops offering boat tours, jet skiing, paragliding and diving, plus the cafes, and restaurants! I bid my family farewell, and then it’s time. 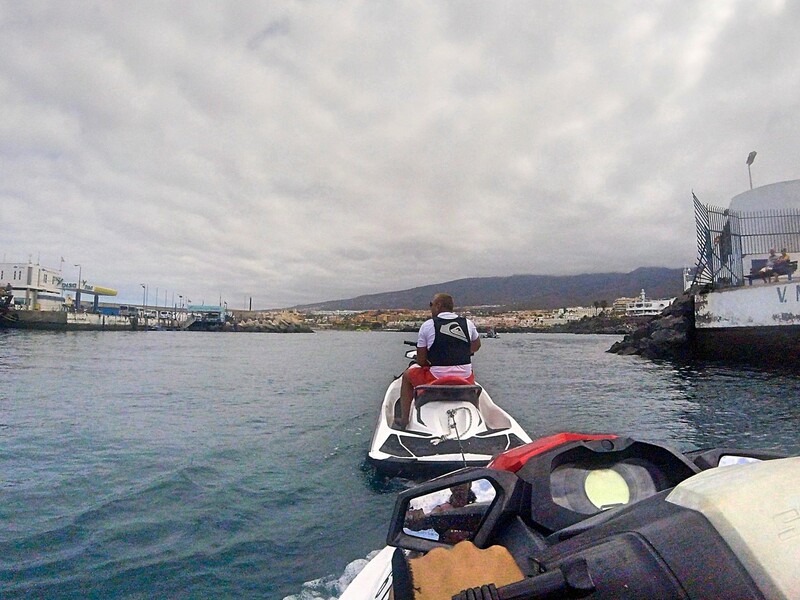 Doing the jet ski with me is a couple, we are led down the docks, our clothing stowed and locked in a box and we are then strapped into life vests. Our jet ski guide takes us to the awaiting jet skis, which are much bigger than I expected. We are slowly led out of the harbour. 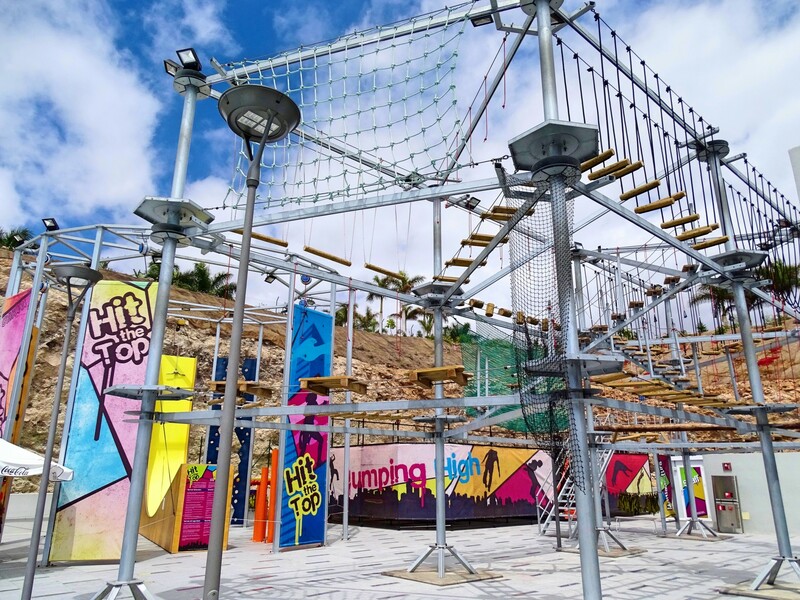 Once away from the docks, the ropes come off. Driving at sometimes over 60 mph we drive out to sea. 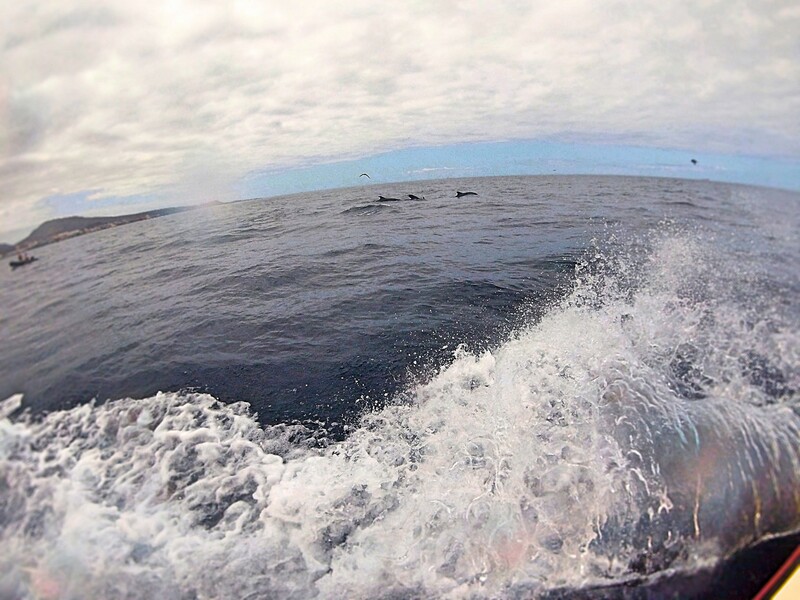 It is exhilarating and loads of fun speeding across the open sea, water spraying, along with the awesome views. A great, fun experience which comes to an end all too soon. Now I know how my kids feel when they are only allowed one ride on a carousel! 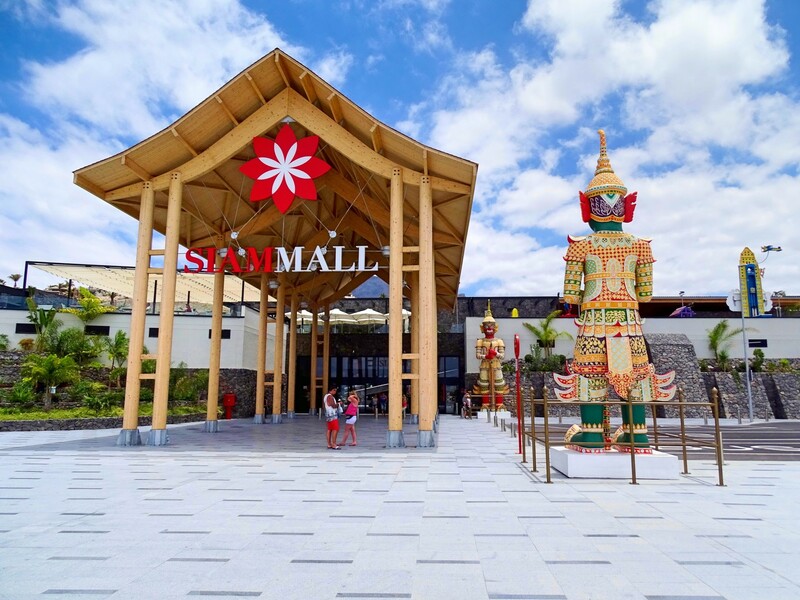 Adventure over, including “knight in a wetsuit” and all, we spend the rest of the day at the beautifully designed Siam Mall. 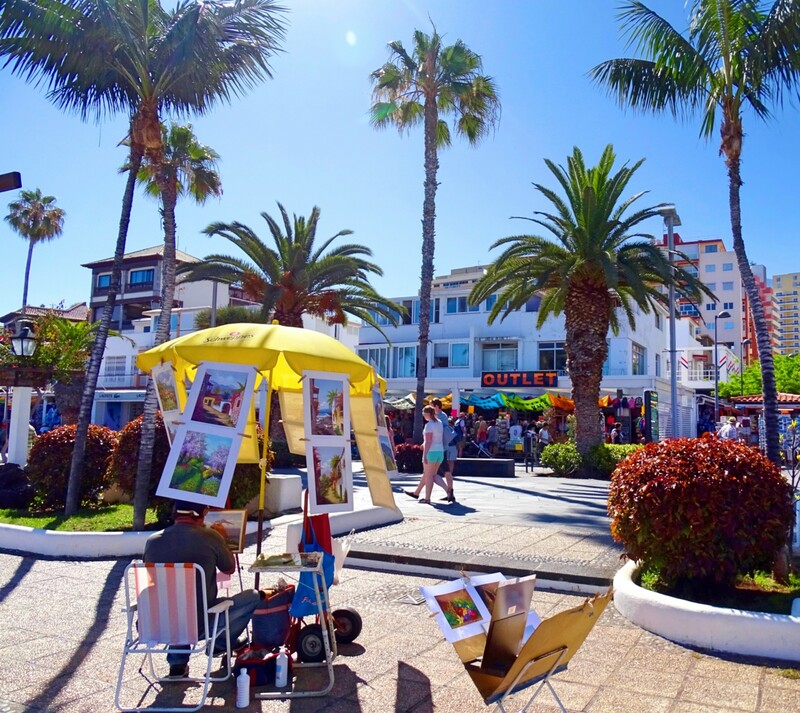 With its Thai decor and vegetation, fountains that put on mini water shows, bounty of shops to browse and large food court with beautiful mountain view and views of the coast of Costa de Adeje. 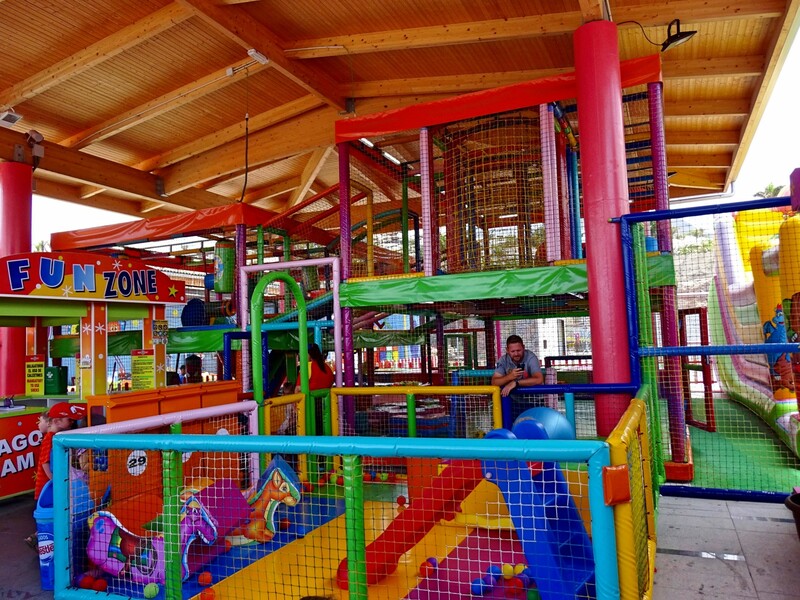 There’s also a fun kids zone and a secure, enclosed, soft play area. 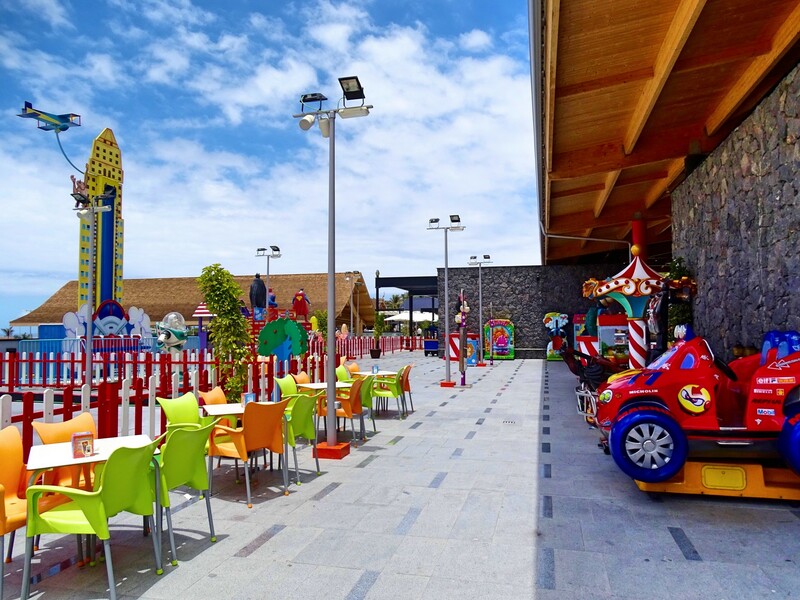 We let our kids enjoy the play area for 1 hour which costs 5 Euro each, contact details are taken down and we enjoy a meal all alone! Bliss! 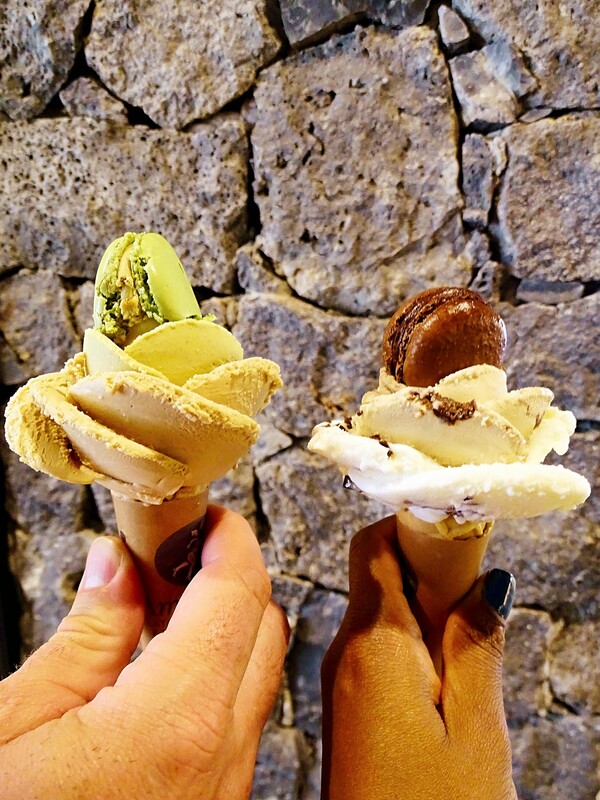 😉 We end the day with delicious gelato from Amorino. 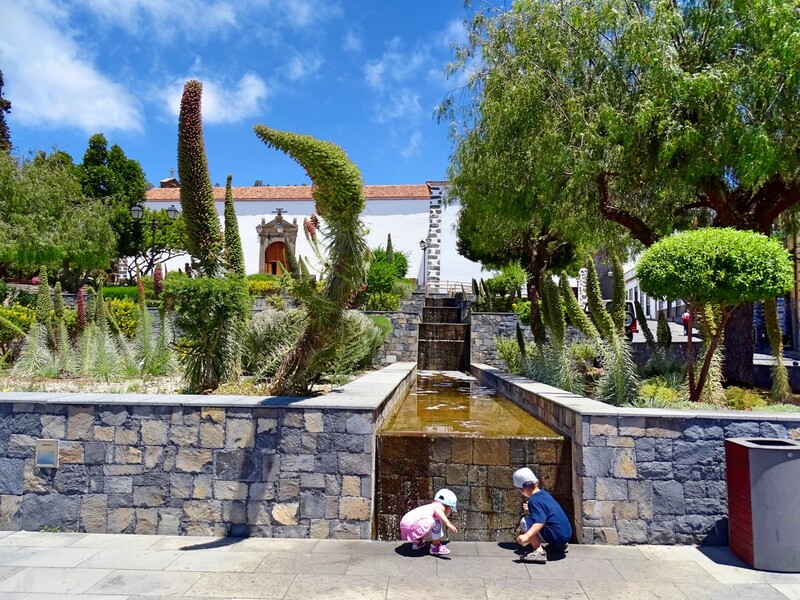 In our first week we have had fun exploring but also tried to take it easy, spending down time at our Hotel pool and also doing a city bus tour in Santa Cruz, which the kids also really enjoyed. 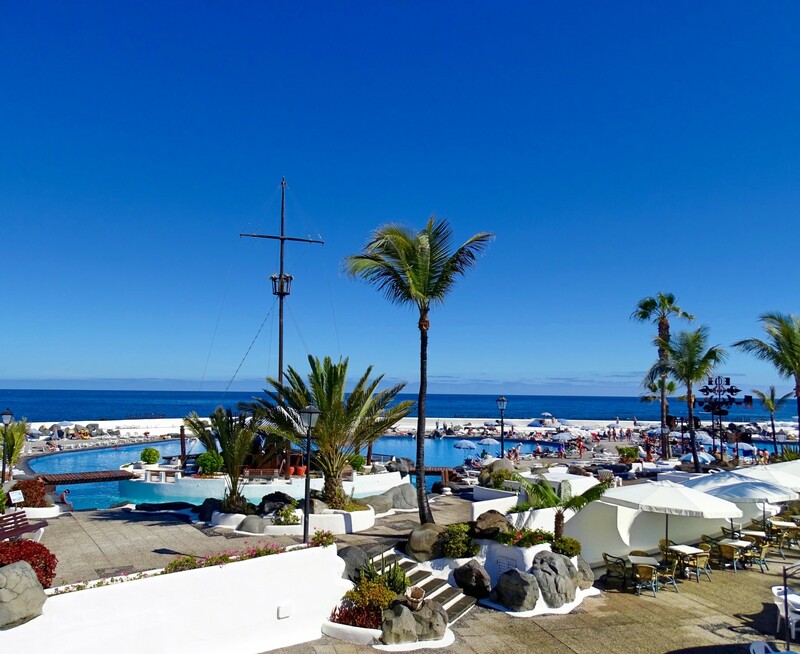 Definitely take your swim gear along to enjoy the pools at Parque Maritimo Cèsar Manrique. Also beware, as you will have to dodge low hanging branches on the bus tour! 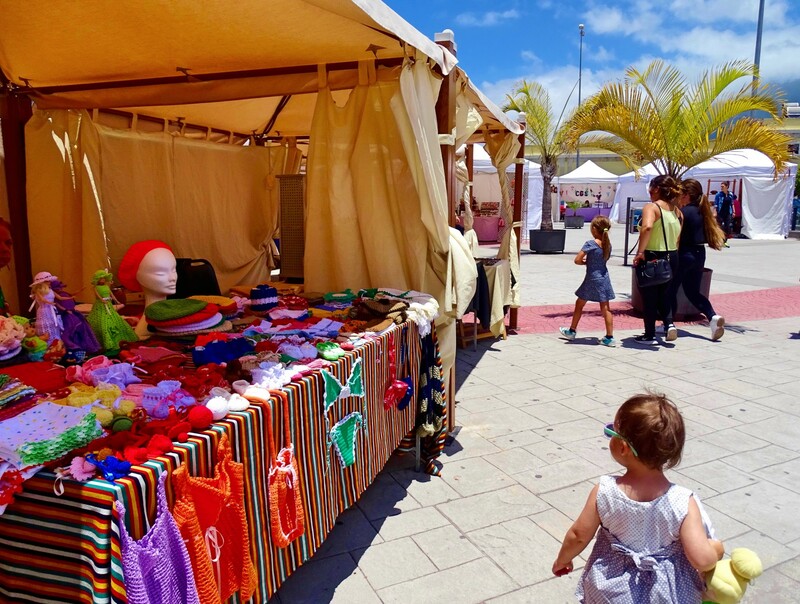 It is advisable to always have light jackets on hand, especially for the little ones, as weather can change quickly in Tenerife. The kids goodie bags have so far definitely come in handy in keeping them entertained, we even occasionally borrowed their fans to cool down! 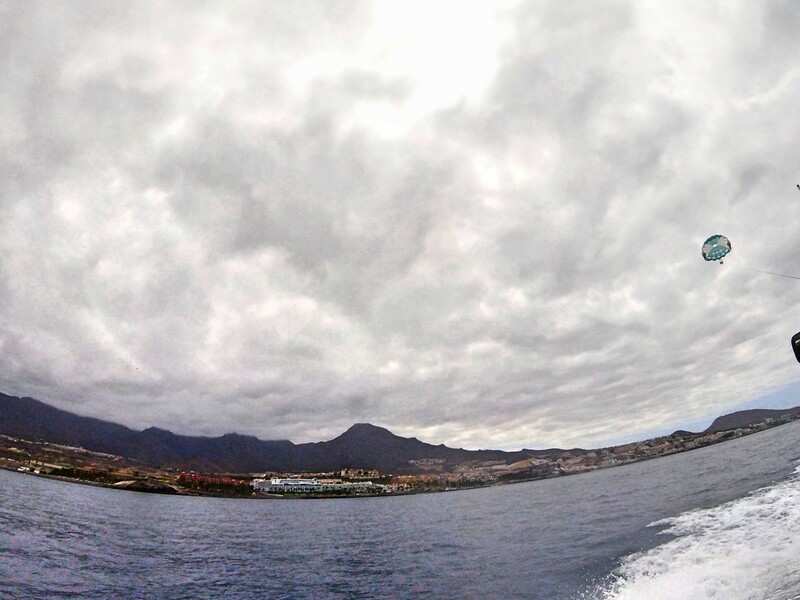 In Part 2, our final few days in Tenerife, we go to Siam Park, and do a spontaneous Submarine tour with Submarine Safaris!